Kei KAWAI, Kenji KAI, Yoshitaka JIN, Nobuo SUGIMOTO and Dashdondog BATDORJ, Lidar Network Observation of Dust Layer Development over the Gobi Desert in Association with a Cold Frontal System on 22-23 May 2013, J. Meteorol. Soc. Japan, 2018, DOI:10.2151/jmsj. 2018-023. Boris Barja, Felix Zamorano, Pablo Ristori, Lidia Otero, Eduardo Quel, Nobuo Sugimoto, Atsushi Shimizu and Jorge Santana, AEROSOLS OBSERVATIONS WITH A NEW LIDAR STATION IN PUNTA ARENAS, CHILE, EPJ Web of Conferences 176, 05038 (2018) ILRC28, https://doi.org/10.1051/epjconf/201817605038. Kei Kawai, Kenji Kai, Yoshitaka Jin, Nobuo Sugimoto, Dashdondog Batdorj, LIDAR NETWORK OBSERVATION OF DUST LAYER EVOLUTION OVER THE GOBI DESERT IN MAY 2013, EPJ Web of Conferences 176, 05009 (2018) ILRC28, https://doi.org/10.1051/epjconf/201817605009. Eduardo Landulfo, Fabio Lopes, Gregori Arruda Moreira, Jonatan da Silva, Pablo Ristori, Eduardo Quel, Lidia Otero, Juan Vicente Pallota, Milagros Herrera, Jacobo Salvador, Juan Lucas Bali, Eliam Wolfram, Paula Etala, Albane Barbero, Ricardo Forno, Maria Fernanda Sanchez, Henrique Barbosa, Diego Gouveia, Amanda Vieira Santos, Judith Hoelzemann, Jose Henrique Fernandez, Anderson Guedes, Antonieta Silva, Boris Barja, Felix Zamorano, Raul Perez Legue, Alvaro Bastidas, Maribel Vellejo Zabala, Juan Velez, Daniel Nisperuza, Elena Montilla, Rene Estevam Arredondo, Juan Carlos Antuna Marrero, Alberth Rodriguez Vega, Lucas Alados-Arboledas, Juan Luis Guerrero-Rascado, Nobuo Sugimoto and Jin Yoshitaka, LALINET STATUS - STATION EXPANSION AND LIDAR RATIO SYSTEMATIC MEASUREMENTS, EPJ Web of Conferences 176, 09002 (2018) ILRC28, https://doi.org/10.1051/epjconf/201817609002. Tomoaki Nishizawa, Nobuo Sugimoto, Atsushi Shimizu, Itsushi Uno, Yukari Hara, and Rei Kudo, AEROSOL OBSERVATION USING MULTI-WAVELENGTH MIE-RAMAN LIDARS OF THE AD-NET AND AEROSOL COMPONENT ANALYSIS, EPJ Web of Conferences 176, 09005 (2018) ILRC28, https://doi.org/10.1051/epjconf/201817609005. Hajime Okamoto, Kaori Sato, Shuichiro Katagiri, Masahiro Fujikawa, Tomoaki Nishizawa, Nobuo Sugimoto, Yoshitaka Jin, Atsushi Shimizu, Hiroshi Ishimoto, APPLICATION OF MULTIPLE-SCATTERING POLARIZATION LIDAR FOR THE EVALUATION OF SPACE-BORNE LIDAR ALGORITHMS, EPJ Web of Conferences 176, 02014 (2018) ILRC28, https://doi.org/10.1051/epjconf/201817602014. Park Chan Bong, Atsushi Shimizu, Nobuo Sugimoto, OPTICAL MEASUREMENT OF ASIAN DUST OVER DAEJEON CITY IN 2016 BY DEPOLARIZATION LIDAR IN AD-NETWORK, EPJ Web of Conferences 176, 09015 (2018) ILRC28, https://doi.org/10.1051/epjconf/201817609015. Pablo Ristori, Lidia Otero, Yoshitaka Jin, Boris Barja, Atsushi Shimizu, Albane Barbero, Jacobo Salvador, Juan Lucas Bali, Milagros Herrera, Paula Etala, Alejandro Acquesta, Eduardo Quel, Nobuo Sugimoto, Akira Mizuno, SAVER.NET LIDAR NETWORK IN SOUTHERN SOUTH AMERICA, EPJ Web of Conferences 176, 09011 (2018) ILRC28, https://doi.org/10.1051/epjconf/201817609011. Nobuo Sugimoto, Atsushi Shimizu, Tomoaki Nishizawa, Yoshitaka Jin, RECENT DEVELOPMENTS WITH THE ASIAN DUST AND AEROSOL LIDAR OBSERVATION NETWORK (AD-NET), EPJ Web of Conferences 176, 09001 (2018) ILRC28, https://doi.org/10.1051/epjconf/201817609001. Yoshitaka Jin, Nobuo Sugimoto, Pablo Ristori, Tomoaki Nishizawa, Lidia Otero, and Eduardo Quel, Measurement method of high spectral resolution lidar with a multimode laser and a scanning Mach-Zehnder interferometer, Applied Optics 56 (21) 5990-5995, 2017. https://doi.org/10.1364/AO.56.005990. Zhe Wang, Xiaole Pan, Itsushi Uno, Jie Li, Zifa Wang, Xueshun Chen, Pingqing Fu, Ting Yang, Hiroshi Kobayashi, Atsushi Shimizu, Nobuo Sugimoto, Shigekazu Yamamoto, Significant impacts of heterogeneous reactions on the chemical composition and mixing state of dust particles: A case study during dust events over northern China, Atmospheric Environment 159 (2017) 83-91, http://dx.doi.org/10.1016/j.atmosenv.2017.03.044. Xiaole Pan, Itsushi Uno, Zhe Wang, Tomoaki Nishizawa, Nobuo Sugimoto, Shigekazu Yamamoto, Hiroshi Kobayashi, Yele Sun, Pingqing Fu, Xiao Tang, and Zifa Wang, Real-time observational evidence of changing Asian dust morphology with the mixing of heavy anthropogenic pollution, Scientific RepoRts | 7: 335 | DOI:10.1038/s41598-017-00444-w.
Keiya Yumimoto, Itsushi Uno, Xiaole Pan, Tomoaki Nishizawa, Sang-Woo Kim, and Nobuo Sugimoto, Inverse Modeling of Asian Dust Emissions with POPC Observations: A TEMM Dust Sand Storm 2014 Case Study, SOLA, 2017, Vol. 13, 31-35, doi:10.2151/sola.2017-006. Ting Yang, Zifa Wang, Wei Zhang, Alex Gbaguidi, Nobuo Sugimoto, Xiquan Wang, Ichiro Matsui, Yele Sun, Technical note: Boundary layer height determination from Lidar for improving air pollution episode modelling: development of new algorithm and evaluation, Atmos. Chem. Phys. 17, 6215-6225, doi:10.5194/acp-17-6215-2017. Ting Yang, Zifa Wang, Wei Zhang, Alex Gbaguidi, Nobuo Sugimoto, Xiquan Wang, Ichiro Matsui, Yele Sun, Technical note: Boundary layer height determination from Lidar for improving air pollution episode modelling: development of new algorithm and evaluation, Atmos. Chem. Phys. Discuss., doi:10.5194/acp-2016-1010, 2017. Atsushi Shimizu, Tomoaki Nishizawa, Yoshitaka Jin, Sang-Woo Kim, Zifa Wang, Dashdondog Batdorj, and Nobuo Sugimoto, Evolution of a lidar network for tropospheric aerosol detection in East Asia, Optical Engineering 56(3), 031219. Kumiko T. Kanatani; Kei Hamazaki; Hidekuni Inadera; Nobuo Sugimoto; Atsushi Shimizu; Hisashi Noma; Kazunari Onishi; Yoshimitsu Takahashi; Toshiko Itazawa; Miho Egawa; Keiko Sato; Tohshin; Isao Ito; Youichi Kurozawa; Ikuo Konishi; Yuichi Adachi; Takeo Nakayama; for the Japan Environment & Children's Study Group, Effect of desert dust exposure on allergic symptoms A natural experiment in Japan, Annals of Allergy, Asthma & Immunology 116(5), 2016, 425-430. http://dx.doi.org/10.1016/j.anai.2016.02.002. Xiaole Pan, Itsushi Uno, Yukari Hara, Kazuo Osada, Shigekazu Yamamoto, Zhe Wang, Nobuo Sugimoto, Hiroshi Kobayashi, and Zifa Wang, Polarization properties of aerosol particles over western Japan: classification, seasonal variation, and implications for air quality, Atmos. Chem. Phys., 16, 9863-9873, 2016. www.atmos-chem-phys.net/16/9863/2016/. doi:10.5194/acp-16-9863-2016. [Related paper] Teppei J. Yasunari, Peter R. Colarco, William K.M. Lau, Kazuo Osada, Mizuka Kido, Sarith P.P. Mahanama, Kyu-Myong Kim, Arlindo M. da Silva, Atmospheric Research 167 (2016) 298-313. http://dx.doi.org/10.1016/j.atmosres.2015.08.005. Nobuo Sugimoto, Tomoaki Nishizawa, Atsushi Shimizu, Ichiro Matsui, Yoshitaka Jin, Akiko Higurashi, Itsushi Uno, Yukari Hara, Keiya Yumimoto, and Rei Kudo, Continuous observations of atmospheric aerosols across East Asia, SPIE Newsroom, 21 October 2015, doi: 10.1117/2.1201510.006178. Daisuke Goto, Teruyuki Nakajima, Tie Dai, Toshihiko Takemura, Mizuo Kajino, Hitoshi Matsui, Akinori Takami, Shiro Hatakeyama, Nobuo Sugimoto, Atsushi Shimizu, and Toshimasa Ohara (2015), An evaluation of simulated particulate sulfate over East Asia through global model intercomparison, J. Geophys. Res. Atmos., 120, 6247-6270, doi:10.1002/2014JD021693. Masataka Nishikawa, Ichiro Matsui, Ikuko Mori, Dashdondog Batdorji, Enkhmaa Sarangerel, Kaoru Ohnishi, Atsushi Shimizu, Nobuo Sugimoto (2015), Chemical characteristics of airborne particulate matter during the winter season in Ulaanbaatar, Earozoru Kenkyu, 30 (2), 126-133, doi: 10.11203/jar.30.126. Nobuo Sugimoto, Atsushi Shimizu, Tomoaki Nishizawa, Ichiro Matsui, Yoshitaka Jin, Pradeep Khatri, Hitoshi Irie, Tamio Takamura, Kazuma Aoki and Boossarasiri Thana, Aerosol characteristics in Phimai, Thailand determined by continuous observation with a polarization sensitive Mie-Raman lidar and a sky radiometer, Environmental Research Letters 10 (2015) 065003, doi:10.1088/1748-9326/10/6/065003. Xiaole Pan, Itsushi Uno, Yukari Hara, Masatoshi Kuribayashi, Hiroshi Kobayashi, Nobuo Sugimoto, Shigekazu Yamamoto, Takaaki Shimohara, and Zifa Wang, (2015) Observation of the simultaneous transport of Asian mineral dust aerosols with anthropogenic pollutants using a POPC during a long-lasting dust event in late spring 2014, Geophys. Res. Lett., 42, 1593-1598, doi:10.1002/2014GL062491. N. Takegawa, N. Moteki, N. Oshima, M. Koike, K. Kita, A. Shimizu, N. Sugimoto, and Y. Kondo, Variability of aerosol particle number concentrations observed over the western Pacific in the spring of 2009, J. Geophys. Res. Atmos., 119, 13, 474-13,488 (2014) doi:10.1002/ 2014JD022014. Itsushi Uno, Nobuo Sugimoto, Atsushi Shimizu, Keiya Yumimoto, Yukari Hara and Zifa Wang, Record Heavy PM2.5 Air Pollution over China in January 2013: Vertical and Horizontal Dimensions, SOLA, 2014, Vol. 10, 136-140, doi:10.2151/sola.2014-028. Hiroshi Kobayashi, Masahiko Hayashi, Koichi Shiraishi, Yoshinobu Nakura, Takayuki Enomoto, Kazuhiko Miura, Hiroshi Takahashi, Yasuhito Igarashi, Hiroaki Naoe, Naoki Kaneyasu, Tomoaki Nishizawa, Nobuo Sugimoto, Development of a polarization optical particle counter capable of aerosol type classification, Atmospheric Environment 97 (2014) 486-492. http://dx.doi.org/10.1016/j.atmosenv.2014.05.006. [Related paper] Saide, P. E., J. Kim, C. H. Song, M. Choi, Y. Cheng, and G. R. Carmichael (2014), Assimilation of next generation geostationary aerosol optical depth retrievals to improve air quality simulations, Geophys. Res. Lett., 41, 9188-9196, doi:10.1002/2014GL062089. [Related paper] Tomomi Higashi, Yasuhiro Kambayashi, Noriyuki Ohkura, Masaki Fujimura, Satoshi Nakai, Yasushi Honda, Kiyofumi Saijoh, Kazuichi Hayakawa, Fumihisa Kobayashi, Yoshimasa Michigami, Anyenda Enoch Olando, Yoshiaki Hitomi, Hiroyuki Nakamura, Effects of Asian dust on daily cough occurrence in patients with chronic cough: A panel study, Atmospheric Environment 92 (2014) 506-513, doi: 10.1016/j.atmosenv.2014.04.034. [Related paper] Tomomi Higashia, Yasuhiro Kambayashi, Noriyuki Ohkurac, Masaki Fujimurac, Sayaka Nakanishi, Tomokazu Yoshizaki, Kiyofumi Saijoh, Kazuichi Hayakawa, Fumihisa Kobayashi, Yoshimasa Michigami, Yoshiaki Hitomi, Hiroyuki Nakamura, Exacerbation of daily cough and allergic symptoms in adult patients with chronic cough by Asian dust: A hospital-based study in Kanazawa, Atmospheric Environment (2014), http://dx.doi.org/10.1016/j.atmosenv.2014.01.041. Kumiko T Kanatani, Yuichi Adachi, Nobuo Sugimoto, Hisashi Noma, Kazunari Onishi, Kei Hamazaki, Yoshimitsu Takahashi, Isao Ito, Miho Egawa, Keiko Sato, Tohshin Go, Youichi Kurozawa, Hidekuni Inadera, Ikuo Konishi, Takeo Nakayama, Japan Environment & Children's Study Group, Birth cohort study on the effects of desert dust exposure on children's health: protocol of an adjunct study of the Japan Environment & Children's Study, BMJ Open 2014;4:e004863. doi:10.1136/bmjopen-2014-004863. Shiro Hatakeyama, Keisuke Ikeda, Sayuri Hanaoka, Izumi Watanabe, Takemitsu Arakaki, Hiroshi Bandow, Yasuhiro Sadanaga, Shungo Kato, Yoshizumi Kajii, Daizhou Zhang, Kikuo Okuyama, Takashi Ogi, Toshiyuki Fujimoto, Takafumi Seto, Atsushi Shimizu, Nobuo Sugimoto, Akinori Takami, Aerial observations of air masses transported from East Asia to the Western Pacific: Vertical structure of polluted air masses, Atmospheric Environment 97 (2014) 456-461. http://dx.doi.org/10.1016/j.atmosenv.2014.02.040. Nobuo Sugimoto, Tomoaki Nishizawa, Atsushi Shimizu, Ichiro Matsui, Aerosol characterization with lidar methods, Proc. SPIE 9232, International Conference on Optical Particle Characterization (OPC 2014), 92320N (6 August 2014); doi: 10.1117/12.2064957. P. Khatri, T. Takamura, A. Shimizu, and N. Sugimoto, Observation of low single scattering albedo of aerosols in the downwind of the East Asian desert and urban areas during the inflow of dust aerosols, J. Geophys. Res. Atmos., 119, doi:10.1002/2013JD019961, 2014. M. Koike, N. Moteki, P. Khatri, T. Takamura, N. Takegawa, Y. Kondo, H. Hashioka, H. Matsui, A. Shimizu, and N. Sugimoto, Case study of absorption aerosol optical depth closure of black carbon over the East China Sea, J. Geophys. Res. Atmos., 119, 1-15, doi:10.1002/2013JD020163, 2014. Nobuo Sugimoto, Tomoaki Nishizawa, Atsushi Shimizu, Ichiro Matsui, Yoshitaka Jin, Characterization of aerosols in East Asia with the Asian Dust and aerosol lidar observation network (AD-Net), Proc. of SPIE 9262, 92620K (2014) doi: 10.1117/12.2069892. Yoshitaka Jin, Kenji Kai, Kei Kawai, Nobuo Sugimoto, Tomoaki Nishizawa, Ichiro Matsui, Atsushi Shimizu, and Dashdondog Batdorj, Use of ceilometers for aerosol profile measurements: a comment from AD-Net, Proc. of SPIE 9262, 92620M (2014) doi: 10.1117/12.2069712. Junko Suzuki, Masatomo Fujiwara, Tomoaki Nishizawa, Ryuichi Shirooka, Kunio Yoneyama, Masaki Katsumata, Ichiro Matsui, and Nobuo Sugimoto, The occurrence of cirrus clouds associated with eastward propagating equatorial n = 0 inertio-gravity and Kelvin waves in November 2011 during the CINDY2011/DYNAMO campaign, J. Geophys. Res. Atmos. 118, 12941-12947, doi:10.1002/2013JD019960, 2013. A. Petzold, J. A. Ogren, M. Fiebig, P. Laj, S.-M. Li, U. Baltensperger, T. Holzer-Popp, S. Kinne, G. Pappalardo, N. Sugimoto, C. Wehrli, A. Wiedensohler, and X.-Y. Zhang, Recommendations for reporting "black carbon" measurements. Atmos. Chem. Phys., 13, 8365-8379, 2013, doi:10.5194/acp-13-8365-2013. Jie Lie, Zifa Wang, Kazuyo Yamaji, Masayuki Takigawa, Yugo Kanaya, Fumikazu Taketani, Nobuo Sugimoto, Xiaole Pan, Min Hu, Fan Meng, Yele Sun and Ting Yang, Uplifting of Asian Continental Pollution Plumes from the Boundary Layer to the Free Atmosphere over the Northwestern Pacific Rim in Spring, SOLA, 2013, Vol. 9, 40-44, doi:10.2151/sola.2013-010. Fernando Chouza, Juan Carlos Dworniczak, Lidia Otero, Juan Pallotta, Mario Proyetti, Eduardo Quel, Pablo Ristori, Nobuo Sugimoto, Osvaldo Vilar, and Elian Wolfram, Monitoring volcanic ash in the atmosphere, SPIE Newsroom 10.1117/2.1201306.004865. Nishizawa, T., A. Higurashi, N. Sugimoto, I. Matsui, A. Shimizu and H. Okamoto, Development of Aerosol and Cloud Retrieval Algorithms Using ATLID and MSI Data of EarthCARE, AIP Conf. Proc. 1531, 472 (2013); doi: 10.1063/1.4804809. Nobuo Sugimoto, Yukari Hara, Atsushi Shimizu, Tomoaki Nishizawa, Ichiro Matsui, and Masataka Nishikawa, Analysis of Dust Events in 2008 and 2009 Using the Lidar Network, Surface Observations and the CFORS Model, Asia-Pacific J. Atmos. Sci., 49(1), 27-39, 2013, DOI:10.1007/s13143-013-0004-3. K. Yumimoto, I. Uno, N. Sugimoto, A. Shimizu, Y. Hara, and T. Takemura, Size-resolved adjoint inversion of Asian dust, Geophysical Research Letters, Vol. 39, L24807, doi:10.1029/2012GL053890, 2012. L. Mona, Z. Liu, D. Mueller, A. Omar, A. Papayannis, G. Pappalardo, N. Sugimoto, and M. Vaughan, Lidar Measurements for Desert Dust Characterization: An Overview, Advances in Meteorology Volume 2012, Article ID 356265, 36 pages, doi:10.1155/2012/356265, 2012. Nobuo Sugimoto, Zhongwei Huang, Tomoaki Nishizawa, Ichiro Matsui, and Boyan Tatarov, Fluorescence from atmospheric aerosols observed with a multi-channel lidar spectrometer, Optics Express, Vol. 20, No. 19, 20800-20807, doi: 10.1364/OE.20.020800, 2012. B. Tatarov, D. Mueller, Y.-M. Noh, K.-H. Lee, D.-H. Shin, S.-K. Shin, N. Sugimoto, P. Seifert, and Y.-J. Kim, Record heavy mineral dust outbreaks over Korea in 2010: Two cases observed with multiwavelength aerosol/ depolarization/Raman-quartz lidar, Geophys. Res. Lett. 39, L14801, doi:10.1029/2012GL051972, 2012. James R. Campbell, Jeffrey S. Reid, Douglas L. Westphal, Jianglong Zhang, Jason L. Tackett, Boon Ning Chew, Ellsworth J. Welton, Atsushi Shimizu, Nobuo Sugimoto, Kazuma Aoki, David M. Winker, Characterizing the vertical profile of aerosol particle extinction and linear depolarization over Southeast Asia and the Maritime Continent: The 2007-2009 view from CALIOP Atmospheric Research (2012) http://dx.doi.org/10.1016/j.atmosres.2012.05.007. Dulam Jugder, Nobuo Sugimoto, Masato Shinoda, Reiji Kimura, Ichiro Matsui, Masataka Nishikawa, Dust, biomass burning smoke, and anthropogenic aerosol detected by polarization-sensitive Mie lidar measurements in Mongolia, Atmospheric Environment 54 (2012) 231-241, doi:10.1016/j.atmosenv.2012.01.062. Kazunari Onishi, Yasunori Kurosaki, Shinji Otani, Atsushi Yoshida, Nobuo Sugimoto, Youichi Kurozawa, Atmospheric transport route determines components of Asian dust and health effects in Japan, Atmospheric Environment 49 (2012) 94-102, doi:10.1016/j.atmosenv.2011.12.018. Kayo Ueda, Atsushi Shimizu, Hiroshi Nitta, and Kenichiro Inoue, Long-range transported Asian Dust and emergency ambulance dispatches, Inhalation Toxicology, 2012; 24(12): 858-867, DOI: 10.3109/08958378.2012.724729. [Related paper] Saori Kashima, Takashi Yorifuji, Toshihide Tsuda, Akira Eboshida, Asian dust and daily all-cause or cause-specific mortality in western Japan, Occup Environ Med 2012;00:1-8. doi:10.1136/oemed-2012-100797. Nobuo Sugimoto, Zhongwei Huang, Tomoaki Nishizawa, Ichiro Matsui, and Boyan Tatarov, Study of fluorescence of atmospheric aerosols using a lidar spectrometer, Proc. of SPIE Vol. 8526, 852607, 2012 doi: 10.1117/12.977177. Tomoaki Nishizawa, Nobuo Sugimoto, Ichiro Matsui, and A. Shimizu, Improvement of NIES Lidar Network Observations by Adding Raman Scatter Measurement Function, Proc. of SPIE Vol. 8526, 85260Q, 2012, doi: 10.1117/12.977215. Hiroshi Kobayashi, Masahiko Hayashi, Yoshinobu Nakura, Takayuki Enomoto, Kazuhiko Miura, Hiroshi Takahashi, Yasuhito Igarashi, Hiroaki Naoe,Tomoaki Nishizawa, Nobuo Sugimoto, Naoki Kaneyasu, Development of polarization optical particle counter to detect particle shape information, Proc. of SPIE Vol. 8526, 852609, 2012, doi: 10.1117/12.979634. Kazuhiro Asai, Haruo Sawada, Nobuo Sugimoto, Kohei Mizutani, Shoken Ishii, Tomoaki Nishizawa, Haruhisa Shimoda, Yoshiaki Honda, Koji Kajiwara, Gen Takao, Yasumasa Hirata, Nobuko Saegusa, Masatomo Hayashi, Hiroyuki Oguma, Hideki Saito, Yoshio Awaya, Takahiro Endo, Tadashi Imai, Jumpei Murooka, Takashi Kobayashi, Keiko Suzuki, Ryota Sato, iLOVE: iss-jem Lidar for Observation of Vegetation Environment, Proc. of SPIE Vol. 8526, 85260K, 2012, doi: 10.1117/12.981326. Atsushi Sato, Takumi Abe, Shimpei Okubo, Kazuhiro Asai, Nobuo Sugimoto, Shoken Ishii, Kohei Mizutani, Development of a simultaneous dual-wavelength Q-switched Nd:YAG laser at 1064 and 1319 nm, Proc. of SPIE Vol. 8526, 852606, 2012, doi: 10.1117/12.977317. Takahiro ENDO, Takashi KOBATASHI, Yohei SATOH, Yoshito SAWADA, Nobuo SUGIMOTO, Kohei MIZUTANI, Haruo SAWADA, and Kazuhiro ASAI, Simulation and visualization of echo signals form forest for "iLOVE", Proc. of SPIE Vol. 8526, 85260L, 2012, doi: 10.1117/12.981582. Masato Hayashi, Nobuko Saigusa, Hiroyuki Oguma, Yoshiki Yamagata, Gen Takao, Haruo Sawada, Kohei Mizutani, Nobuo Sugimoto, and Kazuhiro Asai, Measuring forest canopy height using ICESat/GLAS data for applying to Japanese spaceborne LiDAR mission, Proc. of SPIE Vol. 8526, 85260M, 2012, doi: 10.1117/12.981583. Kyohei Yamada, Tadahiro Hayasaka, Nobuo Sugimoto, Relationship between cloud base height retrieved from lidar and downward longwave irradiance, Proc. of SPIE Vol. 8523, 85231Q, 2012, doi: 10.1117/12.977270. Itaru Sano, Sonoyo Mukai, Makiko Nakata, Nobuo Sugimoto, and Brent N. Holben, Local distribution of PM2.5 concentration over Osaka based on space and ground measurements, Proc. of SPIE Vol. 8534, 85340C, 2012, doi: 10.1117/12.974434. I. Sano, S. Mukai, B. N. Holben, M. Nakata, M. Yonemitsu, N. Sugimoto, T. Fujito, T. Hiraki, N. Iguchi, K. Kozai, M. Kuji, K. Muramatsu, Y. Okada,Y. Okada, Y. Sadanaga, S. Tohno, Y. Toyazaki, and K. Yamamoto, DRAGON-West Japan campaign in 2012 : Regional aerosol measurements over Osaka, Proc. of SPIE Vol. 8523, 85231M, 2012, doi: 10.1117/12.977615. M. Nakata, S. Mukai, I. Sano, Y. Nakaguchi, B. N. Holben and N. Sugimoto, DRAGON-Osaka experiment with local pollutants and long-range transported Asian aerosols, Proc. of SPIE Vol. 8523, 85231L, 2012, doi: 10.1117/12.977576. Nobuo Sugimoto, ASSIMILATION OF LIDAR OBSERVATIONS IN AEROSOL TRANSPORT MODELS, ILRC26, Porto Heli, Greece 2012. Tomoaki Nishizawa, Nobuo Sugimoto, Ichiro Matsui, and Toshiaki Takano, DEVELOPMENT OF TWO-WAVELENGTH HIGH-SPECTRAL-RESOLUTION LIDAR AND APPLICATION TO SHIPBORNE MEASUREMENTS, ILRC26, Porto Heli, Greece 2012. Pablo R. Ristori, Lidia A. Otero, Ezequiel Pawelko, Juan Pallotta, Raul D'Elia, Fernando Chouza, Francisco Gonzalez, Juan Carlos Dworniczak, Osvaldo Vilar, Andrea Pereyra, Martian Fernandez, Sebastian Lema, Nobuo Sugimoto, Eduardo J. Quel, DEVELOPMENT OF AN ARGENTINEAN LIDAR NEWORK TO MONITOR THE VOLCANIC PLUME AND DUST IN PATAGONIA, ILRC26, Porto Heli, Greece 2012. Ezequiel Pawelko, Pablo Ristori, Lidia Otero, Raul D'Elia, Andrea Pereyra, Osvaldo Vilar, Fernando Chouza, Juan Pallotta, Francisco Gonzalez, Martin Fernandez, Sebastian Lema, Nobuo Sugimoto, Eduardo Quel, MULTIWAVELENGTH RAMAN LIDAR CONSTRUCTION TO MONITOR VOLCANIC ASH AND AEROSOLS IN BARILOCHE INTERNATIONAL AIRPORT, ARGENTINA, ILRC26, Porto Heli, Greece 2012. Masataka Nishikawa, Ichiro Matsui, Dashdondog Batdorj, Dulam Jugder, Ikuko Mori, Atsushi Shimizu, Nobuo Sugimoto, Katsuyuki Takahashi, Chemical composition of urban airborne particulate matter in Ulaanbaatar, Atmospheric Environment 45 (2011) 5710-5715, doi:10.1016/j.atmosenv.2011.07.029. I. Uno, K. Eguchi, K. Yumimoto, Z. Liu, Y. Hara, N. Sugimoto, A. Shimizu, and T. Takemura, Large Asian dust layers continuously reached North America in April 2010, Atmos. Chem. Phys., 11, 7333-7341, 2011, doi:10.5194/acp-11-7333-2011. Dulam Jugder, Masato Shinoda, Nobuo Sugimoto, Ichiro Matsui, Masataka Nishikawa, Soon-Ung Park, Young-Shin Chun, Moon-Soo Park, Spatial and temporal variations of dust concentrations in the Gobi Desert of Mongolia, Global and Planetary Change 78, 14-22, 2011, doi:10.1016/j.gloplacha.2011.05.003. Yayoi Inomata, Yasuhito Igarashi, Hiroaki Naoe, Hiroshi Takahashi, Atsushi Shimizu, Nobuo Sugimoto, Taichu Y. Tanaka, Influence of blocking effect of mountain and local front on two Asian-dust events observed at Mt. Haruna and Tsukuba in Kanto, Japan, in 2007, Atmospheric Environment 45, 4429-4441, 2011, doi:10.1016/j.atmosenv.2011.05.038. K. Osada, S. Ura, M. Kagawa, M. Mikami, T. Y. Tanaka, S. Matoba, K. Aoko, M. Shinoda, Y. Kurosaki, M. Hayashi, A. Shimizu, and M. Uematsu, Temporal and Spatial Variation of Wet Deposition Flux of Mineral Dust in Japan, SOLA, 2011, Vol. 7, 49-52, doi:10.2151/sola.2011-013. Masamitsu Hayasaki, Munehisa K. Yamamoto, Atsushi Higuchi, Atsushi Shimizu, Ikuko Mori, Masataka Nishikawa, and Takumi Takasuga, Asian Dust Transport to Kanto by Flow around Japan's Central Mountains, SOLA, 2011, Vol. 7A, 032-035, doi:10.2151/sola.7A-009. Nobuo Sugimoto, Yukari Hara, Atsushi Shimizu, Keiya Yumimoto, Itsushi Uno, and Masataka Nishikawa, Comparison of Surface Observations and a Regional Dust Transport Model Assimilated with Lidar Network Data in Asian Dust Event of March 29 to April 2, 2007, SOLA, 2011, Vol. 7A, 013-016, doi:10.2151/sola.7A-004. D. Mueller, I. Mattis, B. Tatarov, Y. M. Noh, D. H. Shin, S. K. Shin, K. H. Lee, Y. J. Kim, and N. Sugimoto, Mineral quartz concentration measurements of mixed mineral dust/urban haze pollution plumes over Korea with multiwavelength aerosol Raman-quartz lidar, Geophys. Res. Lett 37, L20810, doi:10.1029/2010GL044633, 2010. Syuichi Itahashi, Keiya Yumimoto, Itsushi Uno, Kenta Eguchi, Toshihiko Takemura, Yukari Hara, Atsushi Shimizu, Nobuo Sugimoto and Zhaoyan Liu, Structure of Dust and Air Pollutant Outflow over East Asia in the Spring, Geophys. Res. Lett. 37, L20806, doi:10.1029/2010GL044776, 2010. K. Yumimoto, K. Eguchi, I. Uno, T. Takemura, Z. Liu, A. Shimizu, N. Sugimoto and K. Strawbridge, Summertime Trans-Pacific Transport of Asian Dust, Geophys. Res. Lett. 37, L18815, doi:10.1029/2010GL043995, 2010. H. Matsui, M. Koike, Y. Kondo, N. Takegawa, J. D. Fast, U. Poeschl, R. M. Garland, M. O. Andreae, A. Wiedensohler, N. Sugimoto, and T. Zhu, Spatial and Temporal Variations of Aerosols Around Beijing in Summer 2006: 2. Local and Column Aerosol Optical Properties, J. Geophys. Res. 115, D22207, doi:10.1029/2010JD013895, 2010. Tomoaki Nishizawa, Nobuo Sugimoto, Ichiro Matsui, Atsushi Shimizu, and Hajime Okamoto, Algorithms to Retrieve Optical Properties of Three-Component Aerosols from Two- Wavelength Backscatter and One-Wavelength Polarization Lidar Measurements Considering Nonsphericity of Dust, Journal of Quantitative Spectroscopy & Radiative Transfer, 112, 254-267, 2010 doi:10.1016/j.jqsrt.2010.06.002. [Related publication] Kanatani, K. T., I. Ito, W. K. Al-Delaimy, Y. Adachi, W. C. Mathews, J. W. Ramsdell, and Toyama Asian Desert Dust and Asthma Study Team, 2010: Desert-dust Exposure is Associated with Increased Risk of Asthma Hospitalization in Children, Am. J. Respir. Crit. Care Med. 182(12) 1475-81, doi:10.1164/rccm.201002-0296OC. Nobuo Sugimoto, Yukari Hara, Keiya Yumimoto, Itsushi Uno, Masataka Nishikawa, and Jugder Dulam, Dust emission estimated with an assimilated dust transport model using lidar network data and vegetation growth in the Gobi desert in Mongolia, SOLA, Vol. 6, 125-128, doi:10.2151/sola.2010-032, 2010. Sang-Woo Kim, Soon-Chang Yoon, Jiyoung Kim, Jung-Yoon Kang, and Nobuo Sugimoto, Asian dust event observed in Seoul, Korea, during 29-31 May 2008: Analysis of transport and vertical structure of dust particles from lidar and surface measurements, Science of The Total Environment, 408, 1707-1718, doi:10.1016/j.scitotenv.2009.12.018, 2010. Pradeep Khatri, Tamio Takamura, Atsushi Shimizu, and Nobuo Sugimoto, Spectral Dependency of Aerosol Light-Absorption over the East China Sea Region, SOLA, Vol. 6, 001-004, doi:10.2151/sola.2010-001, 2010. (http://www.jstage.jst.go.jp/article/sola/6/0/1/_pdf). R. L. Verma, L. K. Sahu, Y. Kondo, N. Takegawa, S. Han, J. S. Jung, Y. J. Kim, S. Fan, N. Sugimoto, M. H. Shammaa, Y. H. Zhang, and Y. Zhao, Temporal variations of black carbon in Guangzhou, China, in summer 2006, Atmos. Chem. Phys., 10, 6471?6485, 2010 (www.atmos-chem-phys.net/10/6471/2010/) doi:10.5194/acp-10-6471-2010. N. Sugimoto, I. Matsui, A. Shimizu, T. Nishizawa, Y. Hara, and I. Uno, Lidar Network Observation of Tropospheric Aerosols, Proc. of SPIE Vol. 7860, 78600J, doi: 10.1117/12.869900, 2010. T. Nishizawa, N. Sugimoto, and I. Matsui, Development of a dual-wavelength high-spectral-resolution lidar, Proc. of SPIE Vol. 7860, 78600D, doi: 10.1117/12.870068, 2010. B. Tatarov, N. Sugimoto, I. Matsui, D-H. Shin, D. Muller, Possibilities of the multi-channel lidar spectrometer technique for investigation of the atmospheric aerosols and pollutions, Proc. of SPIE Vol. 7860, 78600C, doi: 10.1117/12.869829, 2010. K. Asai, A. Sato, T. Terasaki, and N. Sugimoto, Lidar for Observation of Vegetation Environment from International Space Station (ISS)/Japanese Experiment Module (JEM)-Exposed Facility (EF), Proc. of SPIE Vol. 7860, 78600G, doi: 10.1117/12.871982, 2010. K-H. Lee, N. Sugimoto, A. Shimizu, S-C. Yoon, A Comparison of satellite- and ground-based aerosol extinction profile and AOD, Proc. of SPIE Vol. 7860, 78600P, doi: 10.1117/12.869530, 2010. K. Yumimoto, K. Eguchi, I. Uno, T. Takemura, Z. Liu, A. Shimizu, and N. Sugimoto, Elevated large-scale dust veil originated in the Taklimakan Desert: intercontinental transport and 3-dimensional structure captured by CALIPSO and regional and global models, Atmos. Chem., 9, 8545-8558, 2009. www.atmos-chem-phys.net/9/8545/2009/. S. Han, Y. Kondo, N. Oshima, N. Takegawa, Y. Miyazaki, M. Hu, P. Lin, Z. Deng, Y. Zhao, N. Sugimoto, and Y. Wu, Temporal variations of elemental carbon in Beijing, VOL. 114, D23202, doi:10.1029/2009JD012027, 2009. Nobuo Sugimoto, Xingang Liu, Ichiro Matsui, Tomoaki Nishizawa, Atsushi Shimizu1, Yuanhang Zhang, Young J. Kim, Ruhao Li, and Jun Liu, Continuous observations of aerosol profiles with a two-wavelength polarization lidar in Guangzhou in PRD2006, J. Applied Meteorology and Climatology, 48, 1822-1830, 2009. B. Tatarov, Nakane, H., Park, Ch. B., Sugimoto, N., Matsui, I., Lidar Observation of Long-Term Trends and Variations of Stratospheric Ozone and Temperature over Tsukuba, Japan, International Journal of Remote Sensing, vol. 30, Nos. 15-16, 3951-3960, 2009. Zhijun Wu, Ya Fang Cheng, Min Hu, Birgit Wehner, Nobuo Sugimoto, Alfred Wiedensohler, Dust events in Beijing, China (2004-2006): Comparison of ground based measurements and columnar integrated observations, Atmos. Chem. Phys., 9, 6915-6932, 2009. Peng Lin, Min Hu, Z. Deng, J. Slanina, S. Han, Y. Kondo, N. Takegawa, Y. Miyazaki, Y. Zhao, and N. Sugimoto, Seasonal and diurnal variations of organic carbon in PM2.5 in Beijing and the estimation of secondary organic carbon, J. Geophys. Res., Vol. 114, D00G11, doi:10.1029/2008JD010902, 2009. Y. Miyazaki, Y. Kondo, M. Shiraiwa, N. Takegawa, T. Miyakawa, S. Han, K. Kita, M. Hu, Z. Q. Deng, N.Sugimoto, D. R. Blake, and R. J. Weber, Chemical characterization of water-soluble organic carbon aerosols at a rural site in the Pearl River Delta, China, in summer, J. Geophys. Res., 114:D14208, 2009. N. Takegawa, T. Miyakawa, M. Kuwata, Y. Kondo, Y. Zhao, S. Han, K. Kita, Y. Miyazaki, Z. Deng, R. Xiao, M. Hu, D. van Pinxteren, H. Herrmann, A. Hofzumahaus, F. Holland, A. Wahner, D. R. Blake, N. Sugimoto, and T. Zhu, Variability of submicron aerosol observed at a rural site in Beijing in the summer of 2006, J. Geophys. Res., Vol. 114, D00G05, doi:10.1029/2008JD010857, 2009. M. Fujiwara, S. Iwasaki, A. Shimizu, Y. Inai, M. Shiotani, F. Hasebe, I. Matsui, N. Sugimoto, H. Okamoto, N. Nishi, A. Hamada, T. Sakazaki, and K. Yoneyama, Cirrus observations in the tropical tropopause layer over the western Pacific, J. Geophys. Res., Vol. 114, D09304, doi:10.1029/2008JD011040, 2009. Jinsang Jung, Hanlim Lee, Young J. Kim, Xingang Liu, Yuanhang Zhang, Min Hu, and Nobuo Sugimoto, Optical properties of atmospheric aerosols obtained by in situ and remote measurements during 2006 Campaign of Air Quality Research in Beijing (CAREBeijing-2006), J. Geophys. Res, Vol. 114, D00G02, doi:10.1029/2008JD010337, 2009. Irie, H., Kanaya, Y., Akimoto, H., Iwabuchi, H., Shimizu, A., Aoki, K. (2009) Dual-wavelength aerosol vertical profile measurements by MAX-DOAS at Tsukuba, Japan. Atmos. Chem. Phys., 9, 2741-2749. Takashima, H., Irie, H., Kanaya, Y., Shimizu, A., Aoki, K., Akimoto, H. (2009) Atmospheric aerosol variations at Okinawa Island in Japan observed by MAX-DOAS using a new cloud-screening method. J. Geophys. Res., 114, D18213. N. Sugimoto and I. Uno, Observation of Asian dust and air-pollution aerosols using a network of ground-based lidars (ADNet): Realtime data processing for validation/assimilation of chemical transport models, WMO/GEO Expert Meeting on International Sand and Dust Storm Warning System, IOP Conf. Series: Earth and Environmental Science 7 (2009) 012003, doi:10.1088/1755-1307/7/1/012003. Tomoaki Nishizawa, Nobuo Sugimoto, Ichiro Matsui, Atsushi Shimizu, Boyan Tatarov, and Hajime Okamoto, Algorithm to Retrieve Aerosol Optical Properties From High-Spectral-Resolution Lidar and Polarization Mie-Scattering Lidar Measurements, IEEE Transactions on Geoscience and Remote Sensing, Vol. 46, No. 12, 4094-4103, 2008. Y. Hara, I. Uno, K. Yumimoto, M. Tanaka, A. Shimizu, N. Sugimoto and Z. Liu, Summertime Taklimakan Dust Structure, Geophys. Res. Lett, Vol. 35, L23801, doi:10.1029/2008GL035630, 2008. Yoshihiro Takiguchi, Akinori Takami, Yasuhiro Sadanaga, Xiaoxiu Lun, Atsushi Shimizu, Ichiro Matsui, Nobuo Sugimoto, Wei Wang, Hiroshi Bandow, and Shiro Hatakeyama, Transport and transformation of total reactive nitrogen over the East China Sea, J. Geophys. Res., Vol. 113, D10306, doi:10.1029/2007JD009462, 2008. Tomoaki Nishizawa, Hajime Okamoto, Toshihiko Takemura, Nobuo Sugimoto, Ichiro Matsui, and Atsushi Shimizu, Aerosol retrieval from two-wavelength backscatter and one-wavelength polarization lidar measurement taken during the MR01K02 cruise of the R/V Mirai and evaluation of a global aerosol transport model, J. Geophys. Res., Vol. 113, D21201, doi:10.1029/2007JD009640, 2008. H. Okamoto, T. Nishizawa, T. Takemura, K. Sato, H. Kumagai, Y. Ohno, N. Sugimoto, A. Shimizu, I. Matsui and T. Nakajima, Vertical cloud properties in the tropical western Pacific Ocean: Validation of the CCSR/NIES/FRCGC GCM by shipborne radar and lidar, J. Geophys. Res., Vol. 113, D24213, doi:10.1029/2008JD009812, 2008. C. Xie, T. Nishizawa, N. Sugimoto, I. Matsui, and Z. Wang, Characteristics of aerosol optical properties in pollution and Asian dust episodes over Beijing, China, Appl. Opt. Vol. 47, No. 27, 4945-4951, 2008. I. Uno, K. Yumimoto, A. Shimizu, Y. Hara, N. Sugimoto, Z. Wang, Z. Liu, and D. M. Winker, 3D Structure of Asian Dust Transport revealed by CALIPSO and a 4DVAR Dust Model, Geophys. Res. Lett. VOL. 35, L06803, doi:10.1029/2007GL032329, 2008. S.-C. Yoon, S.-W. Kim, M.-H. Kim, A. Shimizu, and N. Sugimoto, Ground-Based Mie-Scattering Lidar Measurements of Aerosol Extinction Profiles during ABC-EAREX2005: Comparisons of Instruments and Inversion Algorithms, J. Meteorol. Soc. Japan, Vol. 86, No.2, 377-396, 2008. B. Wehner, W. Birmili, F. Ditas, Z. Wu, M. Hu, X. Liu, J. Mao, N. Sugimoto, and A. Wiedensohler, Relationships between submicrometer particulate air pollution and air mass history in Beijing, China, 2004-2006, Atmos. Chem. Phys. Discuss., 8, 11321-11362, 2008. K. Yumimoto, I. Uno, N. Sugimoto, A. Shimizu, Z. Liu, and D. M. Winker, Adjoint inversion modeling of Asian dust emission using lidar observations, Atmos. Chem. Phys., 8, 2869-2884, 2008. Nobuo Sugimoto, Atmospheric Environment in China inferred from the Air Pollution Index (API), J. Jpn. Soc. Atmos. Environ. Vol. 43, No. 5, 2008 (in Japanese). Nobuo Sugimoto, Ichiro Matsui, Atsushi Shimizu, Tomoaki Nishizawa, Yukari Hara, Chenbo Xie, Itsushi Uno, Keiya Yumimoto, Zifa Wang, Soon-Chang Yoon, Lidar Network Observations of Troposheric Aerosols, Lidar Remote Sensing for Environmental Monitoring IX, edited by Upendra N. Singh, Kazuhiro Asai, Achuthan Jayaraman Proc. of SPIE Vol. 7153, 2008 doi: 10.1117/12.806540. N. Sugimoto, I. Matsui, A. Shimizu, and T. Nishizawa, 2008: Lidar network for monitoring Asian dust and air pollution aerosols, Proc. Int. Geoscience and Remote Sensing Symp. (IGARSS), paper 1618. Boston, MA, IEEE, ISBN: 978-1-4244-2808-3. Yukari Hara, Atsushi Shimizu, Nobuo Sugimoto, Keiya Yumimoto and Itsushi Uno, 3D Transport Structure of Asian Dust Retrieved by NASA CALIOP and a Dust Transport Model Assimilated with the NIES Lidar Network Data, Reviewed and Revised Papers Presented at the 24th International Laser Radar Conference 23-27 June 2008, Boulder, Colorado (ISBN 978-0-615-21489-4) pp.762-765. T. Nishizawa, N. Sugimoto, and I. Matsui, Development of Multi-Wavelength High-Spectral-Resolution Lidar and application of Spheroid Models to aerosol Retrieval from Lidar Measurements, Reviewed and Revised Papers Presented at the 24th International Laser Radar Conference 23-27 June 2008, Boulder, Colorado (ISBN 978-0-615-21489-4) pp.361-364. Chan Bong Park, Choo Hie Lee and Nobuo Sugimoto, Two Wavelength Depolarization Lidar Measurements of Dust, Spherical Aerosols and Cloud, Reviewed and Revised Papers Presented at the 24th International Laser Radar Conference 23-27 June 2008, Boulder, Colorado (ISBN 978-0-615-21489-4) pp.397-400. A. Shimizu, N. Sugimoto, I. Matsui, B. Tatarov, C. Xie, T. Nishizawa, and Y. Hara, NIES Lidar Network; Strategies and Applications, Reviewed and Revised Papers Presented at the 24th International Laser Radar Conference 23-27 June 2008, Boulder, Colorado (ISBN 978-0-615-21489-4) pp.077-710. N. Sugimoto, T. Nishizawa, I. Matsui, and T. Kobayashi, Multi-Wavelength High-Spectral-Resolution Lidar (2a+3b+2d) for the Next Generation Lidar Network, Reviewed and Revised Papers Presented at the 24th International Laser Radar Conference 23-27 June 2008, Boulder, Colorado (ISBN 978-0-615-21489-4) pp.192-195. B. Tatarov, N. Sugimoto, I. Matsui, and A. Shimizu, Optical Properties of Asian Dust Layers in the Upper Troposphere over Tsukuba, Japan observed with a High-Spectral-Resolution Lidar, Reviewed and Revised Papers Presented at the 24th International Laser Radar Conference 23-27 June 2008, Boulder, Colorado (ISBN 978-0-615-21489-4) pp.365-368. B. Tatarov, H. Nakane, C-B. Park, N. Sugimoto, and I. Matsui, Long Term Variations of Stratospheric Ozone Concentration over Tsukuba, Japan observed by DIAL and Comparison with those of SAGE II, Reviewed and Revised Papers Presented at the 24th International Laser Radar Conference 23-27 June 2008, Boulder, Colorado (ISBN 978-0-615-21489-4) pp.793-796. C. Xie, N. Sugimoto, T. Nishizawa, A. Shimizu, I. Matsui, and Z. Wang, Application of Raman Measurement in NIES Lidar Network, Reviewed and Revised Papers Presented at the 24th International Laser Radar Conference 23-27 June 2008, Boulder, Colorado (ISBN 978-0-615-21489-4) pp.530-533. K. Yumimoto, I. Uno, M. Tanaka, Y. Hara, A. Shimizu, and N. Sugimoto, Elevated Large-Scale Dust Veil Originated from the Taklimakan Desert, Reviewed and Revised Papers Presented at the 24th International Laser Radar Conference 23-27 June 2008, Boulder, Colorado (ISBN 978-0-615-21489-4) pp.1087-1089. Teruyuki Nakajima, Soon-Chang Yoon, Veerabhadran Ramanathan, Guang-Yu Shi, Toshihiko Takemura, Akiko Higurashi, Tamio Takamura, Kazuma Aoki, Byung-Ju Sohn, Sang-Woo Kim, Haruo Tsuruta, Nobuo Sugimoto, Atsushi Shimizu, Hiroshi Tanimoto, Yousuke Sawa, Neng-Huei Lin, Chung-Te Lee, Daisuke Goto, and Nick Schutgens, Overview of the Atmospheric Brown Cloud East Asian Regional Experiment 2005 and a study of the aerosol direct radiative forcing in east Asia, J. Geophys. Res., VOL. 112, D24S91, doi:10.1029/2007JD009009, 2007. Tamio Takamura, Nobuo Sugimoto, Atsushi Shimizu, Akihiro Uchiyama, Akihiro Yamazaki, Kazuma Aoki, Teruyuki Nakajima, B. J. Sohn, and Hideaki Takenaka, Aerosol radiative characteristics at Gosan, Korea, during the Atmospheric Brown Cloud East Asian Regional Experiment 2005, J. Geophys. Res. VOL. 112, D22S36, doi:10.1029/2007JD008506, 2007. Tadahiro Hayasaka, Shinsuke Satake, Atsushi Shimizu, Nobuo Sugimoto, Ichiro Matsui, Kazuma Aoki, and Yoshitaka Muraji, The Vertical Distribution and Optical Properties of Aerosols Observed over Japan during ABC-EAREX2005, J. Geophys. Res. VOL. 112, D22S35, doi:10.1029/2006JD008086, 2007. Hajime Okamoto, Tomoaki Nishizawa, Toshihiko Takemura, Hiroshi Kumagai, Hiroshi Kuroiwa, Nobuo Sugimoto, Ichiro Matsui, Atsushi Shimizu, Seita Emori, Akihide Kamei, Teruyuki Nakajima, Vertical cloud structure observed from shipborne radar and lidar, Part (I): mid-latitude case study during the MR01/K02 cruise of the R/V Mirai, accepted for publication in J. Geophys. Res. Tomoaki Nishizawa, Hajime Okamoto, Nobuo Sugimoto, Ichiro Matsui, Atsushi Shimizu, and Kazuma Aoki, An algorithm that retrieves aerosol properties from dual-wavelength polarized lidar measurements, J. Geophys. Res. VOL. 112, D06212, doi:10.1029/2006JD007435, 2007. Youjiang He, Itsushi Uno, Zifa Wang, Toshimasa Ohara, Nobuo Sugimoto, Atsushi Shimizu, Andres Richter, John P. Burrows, Variations of the increasing trend of tropospheric NO2 over Central East China during the past decade, Atmospheric Environment 41, 4865-4876, 2007. K. Yumimoto, I. Uno, N. Sugimoto, A. Shimizu and S. Satake, Adjoint Inverse Modeling of Dust Emission and Transport over East Asia, 2006GL028551R, Geophys. Res. Lett. VOL. 34, L08806, doi:10.1029/2006GL028551, 2007. C.-Y. Lin, Z. Wang, W.-N. Chen, S.-Y. Chang, C. C. K. Chou, N. Sugimoto, and X. Zhao, Long-range transport of Asian dust and air pollutants to Taiwan: observed evidence and model simulation, Atmos. Chem. Phys., 7, 423-434, 2007. S. Iwasaki, K. Maruyama, M. Hayashi, S. Y. Ogino, H. Ishimoto, Y. Tachibana, A. Shimizu, I. Matsui, N. Sugimoto, K. Yamashita, K. Saga, K. Iwamoto, Y. Kamiakito, A. Chabangborn, B. Thana, M. Hashizume, T. Koike, and T. Oki, Characteristics of particle size distributions in the tropical tropopause based on optical particle counter and lidar measurements, Atmos. Chem. Phys. 7, 3507-3518, 2007. Irie, H., Kanaya, Y., Akimoto, H., Iwabuchi, H., Shimizu, A., Aoki, K. (2007) First retrieval of tropospheric aerosol profiles using MAX-DOAS and comparison with lidar and sky radiometer measurements. Atmos.Chem.Phys., 8, 341-350. Kazuaki Yasunaga, Kunio Yoneyama, Hisayuki Kubota, Hajime Okamoto, Atsushi Shimizu, Hiroshi Kumagai, Masaki Katsumata, Nobuo Sugimoto, and Ichiro Matsui, Melting layer cloud observed during R/V Mirai cruise MR01-K05, J. Atmos. Sci. 63, 3020-3032, 2006. I. Uno, Z. Wang, M. Chiba,Y. S. Chun, S. L. Gong, Y. Hara, E. Jung, S.-S. Lee, M. Liu, M. Mikami, S. Music, S. Nickovic, S. Satake, Y. Shao, Z. Song, N. Sugimoto, T. Tanaka, and D. L. Westphal, Dust Model Intercomparison (DMIP) Study over Asia: Overview, J. Geophys. Res., VOL. 111, D12213, doi:10.1029/2005JD006575, 2006. Park, C-B., H. Nakane, N. Sugimoto, I. Matsui, Y. Sasano, Y. Fujinuma, I. Ikeuchi, J. Kurokawa, and N. Furuhashi (2006), Algorithm improvement and validation of NIES Ozone DIAL at Tsukuba NDSC complementary station, Applied Optics Vol. 45, No. 15, 3561-3576. J. Matsumoto, K. Takahashi, Y. Matsumi, A. Yabushita, A. Shimizu, I. Matsui, and N. Sugimoto, Scavenging of Pollutants Acid Substances by Asian Mineral dust Particles, Geophys. Res. Lett., Vpl. 33, L07816, doi:10.1029/2006GL025782, 2006. B. Tatarov, N. Sugimoto, I. Matsui, Lidar Determination of Quartz Concentration in the Tropospheric Mineral Aerosols - Methodology and First Results, Reviewed and Revised Papers Presented at the 23rd International Laser Radar Conference, July 2006 Nara, Japan (23ILRC, ISBN 4-9902916-0-3) pp. 23-26 (2O-3). H. Okamoto, T. Nishizawa, K. Sato, S. Otake, M. Sensu, T. Takemura, N. Sugimoto, I. Matsui, A. Sihimizu, H. Kumagai, Y. Ohno, T. Takano and T. Nakajima, Microphysics of Clouds and Aerosols by Combined Use of Lidar and Cloud Radar, Reviewed and Revised Papers Presented at the 23rd International Laser Radar Conference, July 2006 Nara, Japan (23ILRC, ISBN 4-9902916-0-3) pp. 337-349 (3O-8). T. Nishizawa, H. Okamto, T. Takemura, K. Aoki, N. Sugimoto, I. Matsui, and A. Shimizu, Aerosol Optical Properties Retrieved From Dual-Wavelength Polarized Lidar Measurements during Mirai MR01K02 Cruise, Reviewed and Revised Papers Presented at the 23rd International Laser Radar Conference, July 2006 Nara, Japan (23ILRC, ISBN 4-9902916-0-3) pp. 443-446 (3P-14). Man-Hae Kim, Soon-Chang Yoon, Sang-Woo Kim, Nobuo Sugimoto, Atsushi Shimizu, Comparison of Vertical Extinction Profiles Obtained from 2 Ground-Based Mie-Scattering Lidars at Gosan, Korea during ABC-EAREX2005, Reviewed and Revised Papers Presented at the 23rd International Laser Radar Conference, July 2006 Nara, Japan (23ILRC, ISBN 4-9902916-0-3) pp. 449-450 (3P-16). B. Tatarov, N. Sugimoto, I. Matsui, A. Shimizu, Two-Year-Observations of Optical Properties of the Tropospheric Aerosol and Clouds by a High-Spectral-Resolution Lidar over Tsukuba, Japan, Reviewed and Revised Papers Presented at the 23rd International Laser Radar Conference, July 2006 Nara, Japan (23ILRC, ISBN 4-9902916-0-3) pp. 451-454 (3P-17). K. Sato, H. Okamoto, T. Takemura, N. Sugimoto, H. Kumagai, Development of Algorithms for Air-Motion, Ice Sedimentation and Microphysics Using Lidar and Radar, Reviewed and Revised Papers Presented at the 23rd International Laser Radar Conference, July 2006 Nara, Japan (23ILRC, ISBN 4-9902916-0-3) pp. 487-490 (3P-27). S. Iwasaki, I. Matsui, A. Shimizu, N. Sugimoto, M. Shiotani, Observations of subvisual cirrus clouds with a lidar in Tarawa, Kiribati, Reviewed and Revised Papers Presented at the 23rd International Laser Radar Conference, July 2006 Nara, Japan (23ILRC, ISBN 4-9902916-0-3) pp 601-604 (4P-15). C.-B. Park, H. Nakane, N. Sugimoto, I. Matsui, Y. Sasano, and Y. Fujinuma, Long term Measurements of Stratospheric Ozone by NIES Ozone DIAL at Tsukuba NDSC Complementary Station, Reviewed and Revised Papers Presented at the 23rd International Laser Radar Conference, July 2006 Nara, Japan (23ILRC, ISBN 4-9902916-0-3) pp. 615-618 (4P-20). Itsushi Uno, Keiya Yumimoto, Nobuo Sugimoto, Atsushi Shimizu and Shinsuke Satake, Feasibility Study of Adjoint Inverse Modeling of Asian Dust Using Lidar Network Observations, Reviewed and Revised Papers Presented at the 23rd International Laser Radar Conference, July 2006 Nara, Japan (23ILRC, ISBN 4-9902916-0-3) pp. 627-630 (5O-1). T. Hayasaka, K. Aoki, A. Shimizu, N. Sugimoto, I. Matsui, S. Satake, and Y. Muraji, Vertical Distribution and Optical Properties of Aerosols Observed over Japan in Spring 2005, Reviewed and Revised Papers Presented at the 23rd International Laser Radar Conference, July 2006 Nara, Japan (23ILRC, ISBN 4-9902916-0-3) pp. 639-642 (5O-4). Atsushi Shimizu, Nobuo Sugimoto, Ichiro Matsui, Seasonal and Inter-Annual Variations of Vertical Aerosol Distribution Observed in Thailand, Reviewed and Revised Papers Presented at the 23rd International Laser Radar Conference, July 2006 Nara, Japan (23ILRC, ISBN 4-9902916-0-3) pp. 801-804 (5P-20). Choo Hie Lee, Nobuo Sugimoto, Chan Bong Park, Lidar Depolarization Measurement at Two Wavelengths (532nm and 1064nm) in Asian dust event, Reviewed and Revised Papers Presented at the 23rd International Laser Radar Conference, July 2006 Nara, Japan (23ILRC, ISBN 4-9902916-0-3) pp. 837-840 (5P-30). N. Sugimoto, A. Shimizu, I. Matsui, X. Dong, J. Zhou, X. Bai, J. Zhou, C.-H. Lee, S.-C. Yoon, H. Okamoto, I. Uno, Network Observations of Asian Dust and Air Pollution Aerosols Using Two-Wavelength Polarization Lidars, Reviewed and Revised Papers Presented at the 23rd International Laser Radar Conference, July 2006 Nara, Japan (23ILRC, ISBN 4-9902916-0-3) pp. 851-854 (6P-1). Boyan Tatarov and Nobuo Sugimoto (2005), Estimation of quartz concentration in the tropospheric mineral aerosols using combined Raman and high-spectral-resolution lidars, Optics Letters, Vol. 30, N0. 24, 3407-3409. Sugimoto, N., A. Shimizu, I. Matsui, I. Uno, K. Arao, X. Dong, S. Zhao, J. Zhou, and C-H. Lee (2005), Study of Dust Transport Using a Network of Continuously Operated Polarization Lidars, Water, Air, and Soil Pollution: Focus 5, 145-157. Voelger, P., A.Y.S. Cheng and N. Sugimoto (2005), Influence of atmospheric and systematic parameters on multiple scattering in spaceborne backscatter lidar measurements, Applied Optics Vol. 44, No. 6, 1051-1065. Murayama, T., Muller, D., Wada, K., Shimizu, A., Sekiguchi, M., Tsukamoto, T. (2005) Characterization of Asian dust and Siberian smoke with multi-wavelength Raman lidar over Tokyo,Japan in spring 2003. Geophys.Res.Lett., 31 (L23103), 1-5. Shinsuke Satake, Itsushi Uno, Toshihiko Takemura, Gregory R. Carmichael, Youhua Tang, David Streets, Nobuo Sugimoto, Atsushi Shimizu, Mitsuo Uematsu, Jin-Seok Han, and Sachio Ohta, Characteristics of Asian dust transport simulated with a regional-scale chemical transport model during the ACE-Asia observation, JOURNAL OF GEOPHYSICAL RESEARCH, VOL. 109, D19S22, doi:10.1029/2003JD003997, 2004. Itsushi Uno, Shinsuke Satake, Gregory R. Carmichael, Youhua Tang, Zifa Wang, Toshihiko Takemura, Nobuo Sugimoto, Atsushi Shimizu, Toshiyuki Murayama, Thomas A. Cahill, Steven Cliff, Mitsuo Uematsu, Sachio Ohta, Patricia K. Quinn, and Timothy S. Bates, Numerical study of Asian dust transport during the springtime of 2001 simulated with the Chemical Weather Forecasting System (CFORS) model, JOURNAL OF GEOPHYSICAL RESEARCH, VOL. 109, D19S24, doi:10.1029/2003JD004222, 2004. T. Murayama, D. Mueller, K. Wada, A. Shimizu, M. Sekiguchi, and T. Tsukamoto: Characterization of Asian dust and Siberian smoke with multi-wavelength Raman lidar over Tokyo, Japan in spring 2003, Geophys Res. Lett. 31, L23103, doi:10.1029/2004GL021105, 2004. Seinfeld, J. H., G. R. Carmichael, R. Arimoto, W. C. Conant, F. J. Brechtel, T. S. Bates, T. A. Cahill, A. D. Clarke, S. J. Doherty, P. J. Flatau, B. J. Huebert, J. Kim, K. M. Markowicz, P. K. Quinn, L. M. Russell, P. B. Russell, A. Shimizu, Y. Shinozuka, C. H. Song, Y. Tang, I. Uno, A. M. Vogelmann, R. J. Weber, J.-H. Woo, and X. Y. Zhang, ACE-ASIA: Regional climatic and atmospheric chemical effects of Asian dust and pollution, Bull. Amer. Meteorol. Soc., 85 (3), 367-380, doi:10.1175/BAMS-853-367, 2004. A. Shimizu, N. Sugimoto, I. Matsui, K. Arao, I. Uno, T. Murayama, N. Kagawa, K. Aoki, A. Uchiyama, and A. Yamazaki, Continuous observations of Asian dust and other aerosols by polarization lidar in China and Japan during ACE-Asia, J. Geophys. Res., 109, D19S17, doi:10.1029/2002JD003253, 2004. S. Hatakeyama, A. Takami, F. Sakamaki, H. Mukai, N. Sugimoto, A. Shimizu, H, Bandow, Aerial measurement of air pollutants and aerosols during 20-22 March 2001 over the East China Sea, J. Geophys. Res., 109, D13304, doi:10.1029/2003JD004271, 2004. S. Iwasaki, Y. Tsushima, R. Shirooka, M. Katsumata, K. Yoneyama, I. Matsui, A. Shimizu, N. Sugimoto, A. Kamei, H. Kuroiwa, H. Kumagai, and H. Okamoto, Subvisual cirrus cloud observations using a 1064-nm lidar, a 95 GHz cloud radar, and radiosondes in the warm pool region, Geophys. Res. Lett. Vol. 31, L09103, doi:10.1029/2003GL019377, 2004. B. Tatarov, N. Sugimoto, I. Matsui, A. Shimizu, Systematic observations of lidar ratio for tropospheric aerosols and clouds by high-spectral-resolution lidar over Tsukuba, Japan, Reviewed and Revised Papers Presented at the 22nd International Laser Radar Conference (ILRC2004) July 2004 Matera, Italy (European Space Agency SP-561 ISBN 92-9092-872-7) pp.329-332. T. Kobayashi, M. Imaki, Y. Takegoshi, N. Sugimoto, UV hifg-spectral-resolution lidar for absolute measurement of aerosol extinction coefficient and lidar ratio, Reviewed and Revised Papers Presented at the 22nd International Laser Radar Conference (ILRC2004) July 2004 Matera, Italy (European Space Agency SP-561 ISBN 92-9092-872-7) pp.361-364. C-B. Park, C-H. Lee, N. Sugimoto, I. Matsui, A. Shimizu, H. Nakane, Lidar measurements and trajectory analysis of dust in the middle troposphere at Suwon (127E, 37N), Korea, Reviewed and Revised Papers Presented at the 22nd International Laser Radar Conference (ILRC2004) July 2004 Matera, Italy (European Space Agency SP-561 ISBN 92-9092-872-7) pp.527-530. C-H. Lee, J-H. Kim, C-B. Park, A. Shimizu, I. Matsui, N. Sugimoto, Continuous measurements of smoke of Russian forest fire by 532/1064 nm Mie scattering lidar at Suwon, Korea, Reviewed and Revised Papers Presented at the 22nd International Laser Radar Conference (ILRC2004) July 2004 Matera, Italy (European Space Agency SP-561 ISBN 92-9092-872-7) pp.535-538. A. Shimizu, N. Sugimoto, I. Matsui, K. Arao, Y. Chen, Observations of dust and spherical aerosols with networked polarization lidars inAsia, Reviewed and Revised Papers Presented at the 22nd International Laser Radar Conference (ILRC2004) July 2004 Matera, Italy (European Space Agency SP-561 ISBN 92-9092-872-7) pp.873-876. N. Sugimoto, A. Shimizu, I. Matsui, Y. Chen, X. Dong, Observation of air pollution in Beijing using a continuously operated two-wavelength polarization lidar, Reviewed and Revised Papers Presented at the 22nd International Laser Radar Conference (ILRC2004) July 2004 Matera, Italy (European Space Agency SP-561 ISBN 92-9092-872-7) pp.877-880. Ming Liu , Douglas L. Westphal, Shigong Wang, Atsushi Shimizu, Nobuo Sugimoto, Jun Zhou and Yan Chen, A High-resolution Numerical Study of the Asian Dust Storms of April 2001, J. Geophys. Res. VOL. 108, No. D23, 8653, doi:10.1029/2002JD003178, 2003. Toshiyuki Murayama, Sarah J. Masonis, Jens Redemann, Theodore L. Anderson, Beat Schmid, John M. Livingston, Philip B. Russell, Barry Huebert, Steven G. Howell, Cameron S. McNaughton, Antony Clarke, Makoto Abo, Atsushi Shimizu, Nobuo Sugimoto, Masanori Yabuki, Hiroaki Kuze, Shunsuke Fukagawa, Kari L. Maxwell, Rodney J. Weber, Douglas A. Orsini, Byron Blomquist, Alan Bandy, Donald Thornton, An intercomparison of lidar-derived aerosol optical properties with airborne measurements near Tokyo during ACE-Asia, Acceted for publication in J. Geophys. Res.VOL. 108, NO. D23, 8651, doi:10.1029/2002JD003259, 2003. Toshihiko Takemura, Teruyuki Nakajima, Akiko Higurashi, Sachio Ohta, and Nobuo Sugimoto, Aerosol distributions and radiative forcing over the Asian-Pacific region simulated by SPRINTARS, J. Geophys. Res. VOL. 108, NO. D23, 8659, doi:10.1029/2002JD003210, 2003. Nobuo Sugimoto, Itsushi Uno, Masataka Nishikawa, Atsushi Shimizu, Ichiro Matsui, Xuhui Dong, Yan Chen, Hao Quan, Record Heavy Asian Dust in Beijing in 2002: Observations and Model Analysis of Recent Events, Geophys. Res. Lett. VOL. 30, NO. 12, 1640, doi:10.1029/2002GL016349, 2003. Nobuo Sugimoto, Lidar methods for measuring distributions and characteristics of aerosols and clouds, SPIE 5226, 223-233, 2003. N. Sugimoto, A. Shimizu, I. Matsui, I. Uno, K. Arao, Y. Chen, Observations of Asian dust using a network of automated polarization lidars, Chikyu Kankyo (Global Environment) 7, 2, 197-207, 2002 (in Japanese). N. Sugimoto, I. Matsui, A. Shimizu, I. Uno, K. Asai, T. Endoh, T. Nakajima: Observation of dust and anthropogenic aerosol plumes in the Northwest Pacific with a two-wavelength polarization lidar on board the research vessel Mirai, Geophys. Res. Lett. 29, 10,1029/2002GL015112, 2002. P. Voelger, Z. Liu, and N. Sugimoto: Multiple Scattering Simulations for the Japanese Space Lidar Project ELISE, IEEE Trans.Geosciens and Remote Sensing Vol. 40, No. 3, 550-559, 2002. Z. Liu, N. Sugimoto, and T. Murayama: Extinction-to-backscatter ratio of Asian dust observed by high-spectral-resolution lidar and Raman lidar, Applied Optics Vol. 41, No. 15, 2760-2767 (2002). Zhaoyan Liu and Nobuo Sugimoto: Simulation study for cloud detection with space lidars by use of analog detection photomultiplier tubes, Applied Optics Vol. 41, No. 9, 1750-1759 (2002). N. Sugimoto, Network observations of Asian dust and anthropogenic aerosols with dual-polarization Mie-scattering lidars, in Laser Remote Sensing in Atmospheric and Earth Sciences (Reviewed and revised papers presented at the 21th International Laser Radar Conference), edited by Luc R. Bissonnette, Gilles Roy, and Gilles Vallee, Quebec, Canada, pp.269-271 (2002). T. Murayama, Optical properties of Asian dust aerosol lofted over Tokyo observed by Raman lidar, in Laser Remote Sensing in Atmospheric and Earth Sciences (Reviewed and revised papers presented at the 21th International Laser Radar Conference), edited by Luc R. Bissonnette, Gilles Roy, and Gilles Vallee, Quebec, Canada, pp.331-334 (2002). C.H. Lee, J.H. Kim, C.B. Park, I. Matsui, A. Shimizu, N. Sugimoto, Lidar Observation of Asian dust in spring of 2000 to 2002 at Suwon Korea, in Laser Remote Sensing in Atmospheric and Earth Sciences (Reviewed and revised papers presented at the 21th International Laser Radar Conference), edited by Luc R. Bissonnette, Gilles Roy, and Gilles Vallee Quebec, Canada, pp.335-338 (2002). A. Shimizu, H. Hashiguchi, S. Fukao, T. Tsuda, N. Sugimoto, and I. Matsui, A direct estimation of the vertical flux of aerosols with simultaneous observations by a wind profiler and a Mie-scattering lidar, in Laser Remote Sensing in Atmospheric and Earth Sciences (Reviewed and revised papers presented at the 21th International Laser Radar Conference), edited by Luc R. Bissonnette, Gilles Roy, and Gilles Vallee, Quebec, Canada, pp.223-225 (2002). N. Sugimoto and A. Shimizu: Data reduction methods for the EarthCARE lidar, Proc. EarthCARE Workshop, CRL/ARS Report02-02, pp. 75-80 (2002). T. Nishizawa, H. Okamoto, N. Sugimoto, I. Matsui and A. Shimizu: Aerosol retrieval from shipborne lidar measurements during Mirai MR01/K02 cruise, Proc. EarthCARE Workshop, CRL/ARS Report02-02, pp. 85-91 (2002). H. Okamoto, T. Nishizawa, S. Sato, A. Kamei, H. Kuroiwa, H. Kumagai, M. Yasui, N. Sugimoto, I. Matsui, A. Shimizu, and T. Nakajima: Study of clouds by shipborne radar and lidar measurements during R-V Mirai MR01-K02 cruise, Proc. EarthCARE Workshop, CRL/ARS Report02-02, pp.155-163 (2002). N. Sugimoto, I. Matsui, and A. Shimizu: Observations of aerosols and clouds using ground-based lidars and a ship-board lidar, Proc. the 4th APEX International Workshop, CREST, JSTC (2002). Shimizu, A., Sugimoto, N., Matsui, I., Arao, K., Chen, Y. (2002) Continous lidar observations of Asian dust in Beijing,Nagasaki and Tsukuba. SPIE, 4893, 448-455. Sugimoto, N., Shimizu, A., Matsui, I. (2002) Bistatic lidar observation of maritime water cloud paricle size. SPIE, 4893, 25-30. N. Sugimoto, I. Matsui and A. Shimizu: Measurement of Water Cloud Particle Size with a Dual-Polarization Pulsed Bistatic Lidar, Optical Review Vol. 8, No. 6, 476-479 (2001). N. Sugimoto, I. Matsui, Z. Liu, A. Shimizu, K. Asai, K. Yoneyama and M. Katsumata: Latitudinal distribution of aerosols and clouds in the western Pacific observed with a lidar on board the research vessel Mirai, Geophys. Res. Lett. Vol. 28, No. 22, 4187-4190 (2001). T. Murayama, N. Sugimoto, I. Uno, K.Kinoshita, K. Aoki, N. Hagiwara, Z. Liu, I. Matsui, T. Sakai, T. Shibata, K. Arao, B-J. Shon, J-G. Won, S-C. Yoon, T. Li, J. Zhou, H. Hu, M. Abo, K. Iokibe, R. Koga, and Y. Iwasaka: Ground-Based Network Observation of Asian Dust Events of April 1998 in East Asia, J. Geophys. Res. V0l. 106, No. D16, 18,346-18,359, 2001. I. Uno, H. Amano, S. Emori, K.Kinoshita, I. Matsui, N. Sugimoto: Trans-Pacific yellow sand transport observed in April 1998: A numerical simulation, J. Geophys. Res. V0l. 106, No. D16, 18,331-18,344, 2001. R.B. Husar, D.M. Tratt, B.A. Schichtel, S.R. Falke, F. Li, D. Jaffe, S. Gasso, T. Gill, N.S. Laulainen, F. Lu, M.C. Reheis, Y. Chun, D. Westphal, B.N. Holben, C. Gueymard, I. McKendry, N. Kuring, G.C. Feldman, C. McClain, R.J. Frouin, J. Merrill, D. DuBois, F. Vignola, T. Murayama, S. Nickovic, W.E. Wilson, K. Sassen, N. Sugimoto, and W.C. Malm, Asian dust events of April 1998, J. Geophys. Res. V0l. 106, No. D16, 18,317-18,330, 2001. K. Asai, Y. Sasano, N. Sugimoto, O. uchino, T. Itabe, K. Mizutani, Y. Kawamura, M. ishizu, K. Terada, and N. Saki: Planned/Proposed space lidar programs in Japan, in Advances in Laser Remote Sensing, Eds. A. Dabas, C. Loth, and J. Pelon (Edition de l'Ecole polytechnique, 2001) pp. 11-14. Zhaoyan Liu, Peter Voelger, and Nobuo Sugimoto: Data Analysis Method for Aerosol Observation with Space Lidar: Application to LITE Data, in Advances in Laser Remote Sensing, Eds. A. Dabas, C. Loth, and J. Pelon (Edition de l'Ecole polytechnique, 2001) pp. 31-34. T. Murayama, N. Sugimoto, I. Matsui, Z. Liu, T. Sakai, T. Shibata, Y. Iwsaka, J-G. Won, S-C. Yoon, T. Li, J. Zhou, H. Hu: Lidar Network Observation of Asian Dust. in Advances in Laser Remote Sensing, Eds. A. Dabas, C. Loth, and J. Pelon (Edition de l'Ecole polytechnique, 2001) pp. 169-172. N. Sugimoto, I. Matsui, Z. Liu, A. Shimizu, S. Sakida, T. Murayama, I. Tamamushi, and K. Asai: Observation of Sea-Salt Aerosols in the Tropical Western Pacific with s Shipborne Two-Wavelength Dual Polarization Mie Scattering Lidar, in Advances in Laser Remote Sensing, Eds. A. Dabas, C. Loth, and J. Pelon (Edition de l'Ecole polytechnique, 2001) pp. 203-206. A. Minato, S. Ozawa and N. Sugimoto: Optical Design of a Hollow Cube-Corner Retroreflector for Geosynchronous Satellite, Appl. Opt. 40, 9, 1459-1463 (2001). N. Sugimoto, I. Matsui, A. Shimizu, M. Pinandito, S. Sugondo: Climatological Characteristics of Cloud Distribution and Planetary Boundary Layer Structure in Jakarta, Indonesia Revealed by Lidar Observation, Geophys. Res. Lett.,27 (18), 2909-2912 (2000). Nobuo Sugimoto: Two-Color Dual-Polarization Pulsed Bistatic Lidar for Measuring Water Cloud Droplet Size, Optical Review 7 (3), 235-240 (2000). Liu, Z., P. Voelger and N.Sugimoto: Simulations of the Observation of Clouds and Aerosols with the Experimental Lidar in Space Equipment (ELISE), Applied Optics 39 (18), 3120-3137 (2000). Nobuo Sugimoto: Feasibility of a Lidar Utilizing the Glory for Measuring Particle Size of Water Clouds, Optical Review 6 (6), 539-544 (1999). Peter Voelger, Zhaoyan Liu, and Nobuo Sugimoto: Effects of Multiple Scattering on the Retrieval of Optical Parameters from ELISE - Simulation Study, SPIE 3865 172-177 (1999). Zhaoyan Liu, Ichiro Matsui and Nobuo Sugimoto: High-Spectral-Resolution Lidar Using an Iodine Absorption Filter for Atmospheric Measurements, Optical Engineering 38(10) 1661-1670 (1999). H. Chepfer, P. Goloup, L. Sauvage, P.H. Flamant, G. Brogniez, J. Spinhirne, M. Lavorato, N. Sugimoto: Validation of POLDER/ADEOS data using a ground-based Lidar network: preliminary results for semi-transparent clouds, Physics and Chemistry of the Earth, 24, 203-206 (1999). A. Minato, MD. Mahbubul, A. Joarder, S. Ozawa, M. Kadoya, and N. Sugimoto, Development of a Lidar System for Measuring Methane Using a Gas Correlation Method, Jpn. J. Appl. Phys. Vol. 38, 6130-6132 (1999). S. Godin, A. Carswell, D.P. Donovan, H. Claude, W. Steinbrecht, I.S. McDermid, T.J. McGee, M.R. Gross, H. Nakane, D.P.J. Swart, H.B. Bergwerff, O. Uchino, P. Gathen, and R. Neuber: Ozone Differential Absorption Lidar Algorithm Intercomparison, Applied Optics, 38(30), 6225-6236 (1999). S.P. Namboothiri, N. Sugimoto, H. Nakane, I. Matsui, and Y. Murayama: Rayleigh Lidar Observations of Temperature over Tsukuba: Winter Thermal Structure and Comparison Studies, Earth Planets and Space, 51, 825-832 (1999). Y. N. Takayabu, T. Ueno, T. Nakajima, I. Matsui, Y. Tsushima, K. Aoki, N. Sugimoto, and I. Uno: Estimate of Cloud and Aerosol Effects on the Surface Radiative Flux Based on the Measurements and Transfer Model Calculations, Part I: Shortwave Forcing at Tateno, Japan, J. Meteorological Soc. Japan 77, 1007-1021 (1999). Hayasaka, T., Meguro, Y., Sasano, Y., andTakamura, T., Optical properties and size distribution of aerosols derived from simultaneous measurements with lidar,a sunphotometer,and and aureolemeter, Appl. Opt. 38, 1630-1635 (1999). A.Minato, T. Kobayashi, and N. Sugimoto: Laser Long-Path Absorption Lidar Technique for Measuring Methane Using Gas Correlation Method, Jpn. J. Appl. Phys. 37, 3610-3613 (1998). A.Minato and N. Sugimoto: Design of a four-element, hollow-cube corner retroreflector for satellites by use of a genetic algorithm, Appl. Opt. 37 (3) 438-442 (1998). A.Minato and N. Sugimoto: Optical Design of Space Retroreflector Using Genetic Algorithm, Electronics and Communications in Japan, Part 2, Vol. 81, No. 12, 10-16 (1998). Hayasaka, T., Meguro, Y., Sasano, Y., Takamura, T., Stratification and size distribution of aerosols retrieved from simultaneous measurements with lidar,a sunphotometer,and an aureolemeter, Appl. Opt. 37, 961-970(1998). Zhaoyan Liu and Nobuo Sugimoto: Theoretical and Experimental Study of Algorithms for Space Lidar Observation of Clouds and Aerosols, Atmospheric Propagation, Adaptive System, and Lidar Techniques for Remote Sensing II, Barcelona, SPIE 3494, 296-304 (1998). Y. Sasano, K. Asai, N. Sugimoto, Y. Kawamura, K. Tatsumi, T. Imai: NASDA mission demonstration satellite lidar project and its science, Optical Remote Sensing for Industry and Environmental Monitoring, Beijing, SPIE 3504, 2-7 (1998). T. Murayama, N.Sugimoto, et al. : Lidar network observation of Asian dust (Kosa) in Japan, Optical Remote Sensing for Industry and Environmental Monitoring, Beijing, SPIE 3504, 8-15 (1998). Z. Liu, I. Matsui, and N. Sugimoto: High-spectral -resolution lidar measurements of aerosols, clouds, and temperature at NIES, Optical Remote Sensing for Industry and Environmental Monitoring, Beijing, SPIE 3504, 558-565 (1998). H. Chepfer, L. Sauvage, P. H. Flamant, J. Pelon, P. Goloub, G. Brogniez, J. Spinhirne, M. Lavorato, and N. Sugimoto, Validation of POLDER/ADEOS data using a ground-based lidar network: Preliminary results for semi-transparent and cirrus clouds, 19th International Laser Radar Conference, Abstracts, 25-28, Annapolis, July 1998. Z, Liu, I. Matsui, and N. Sugimoto, High-spectral-resolution lidar using an iodine filter for measuring temperature and optical characteristics of aerosols an clouds, 19th International Laser Radar Conference, Abstracts, 103-106, Annapolis, July 1998. M. Pinandito, I. Rosananto, I. Hidayat, M. Syamsudin, S. Sugondo, N. Sugimoto, I. Matsui, and T. Kobayashi, Lidar observation of the atmospheric boundary layer over Jakarta, Indonesia, 19th International Laser Radar Conference, Abstracts, 411-414, Annapolis, July 1998. S. P. Namboothiri, N. Sugimoto, H. Nakane, I. Matsui, and Y. Murayama, Rayleight lidar observations of temperature and gravity waves in the middle atmosphere, 19th International Laser Radar Conference, Abstracts, 537-540, Annapolis, July 1998. N. Sugimoto, N. Koga, A. Minato, K. Ozawa, Y. Saito, A. Nomura, T. Aoki, T. Itabe, and H. Kunimori, Earth-satellite-earth laser long-path absorption experiments using the Retroreflector in Space (RIS) on the ADEOS satellite, 19th International Laser Radar Conference, Abstracts, 935-938, Annapolis, July 1998. Y. Sasano, ELISE (Experimental Lidar In Space Equipment) development and science application plan: NASDA Mission Demonstration Satellite lidar (MDS-lidar) Project, 19th International Laser Radar Conference, Abstracts, 949-954, Annapolis, July 1998. N. Sugimoto: Retroreflector in Space (RIS), Geocarto International 12, 4, 69-74 (1997). K. Ozawa, N. Koga, N. Sugimoto et al. : Laser Transmitter/Receiver System for Earth-Satellite-Earth Long-Path Absorption Measurements of Atmospheric Trace Species Using the Retroreflector In Space, Opt. Eng. 36, 12, 3235-3241 (1997). Minato A., Sugimoto N. (1997) New Method for Calculating Reflected Wave Fronts of Acute Retroreflectors with Tuned Dihedral Angle. Opt.Rev., 4 (1B), 191?194. K. Ozawa, N. Sugimoto1, N. Koga, Y. Kubota, Y. Saito, A. Nomura, A. Minato, T. Aoki, T. Itabe, and H. Kunimori : Optical Characteristics of the Retroreflector in Space(RIS) on the ADEOS Satellite in Orbit, Opt. Rev. 4, No.4 (1997). Y. Saito, K. Hatake, E. Nomura, T. Kawahara, A. Nomura, N. Sugimoto1, and T. Itabe: Range-Resolved Image Detection of Laser-Induced Fluorescence of Natural Trees for Vegitation Distribution Monitoring, Jpn. J. Appl. Phys. 36, 7024-7027 (1997). Koga N., Sugimoto N., Ozawa K., Saito Y., Nomura A., Minato A., Aoki T., Itabe T., Kunimori H. (1997) Laser long-path absorption experiment using the Retroreflector in Space(RIS) on the ADEOS satellite. SPIE, 3218, 10?18. Ozawa K., Koga N., Sugimoto N., Aoki T., Itabe T., Kunimori H., Minato A., Kubota Y., Saito Y., Nomura A. (1997) Optical characteristics of the Retroreflector in Space(RIS) on the ADEOS satellite. SPIE, 3218, 2?9. Yasuhiro Sasano: Tropospheric aerosol extinction coefficient profiles derived from scanning lidar measurements over Tsukuba, Japan, from 1990 to 1993, Appl. Opt. 35 (24) 4941-4952 (1996). I. Matsui, N. Sugimoto, S. Maksyutov, G. Inoue, E. Kadygrov, and S. Vyazankin: Comparison of atmospheric boundary layer structure measured with a microwave temperature profiler and a Mie scattering lidar, Jpn. J. Appl. Phys. 35, 2168-2169 (1996). Sugimoto, N., Minato, A. (1996) Optical characteristics of the retroreflector in space for the advanced earth observing satellite. Opt. Rev., 3 (2), 62-64. Y. Saito, K. Hatake, E. Nomura, T. Kawahara, A. Nomura, N. Sugimoto, T. Itabe: Laser-induced fluorescence (LIF) imaging lidar with range resolution for vegitation monitoring, Advances in Atmospheric Remote Sensing with Lidar (18th ILRC, Berlin 1996), 475-478, Springer (1996). W. Steinbrecht, H. Jaeger, A. Adriani, G. di Donfrancesco, J. Barnes, G. Beyerle, R. Neuber, C. David, S. Godin, D. Donovan, A. I. Carswell, M. Gross, T. McGee, F. Masci, A. D'Altorio, V. Rizi, G. Visconti, I. S. McDermid, G. Megie, B. Mielke, B. Stein, C. Wedekind, T. Nagai, O. Uchino, H. Nakane, M. Osborn, and D. Winker, NDSC intercomparison of stratospheric aerosol processing algorithms, Advances in Atmospheric Remote Sensing with Lidar (18th ILRC, Berlin 1996), 501-504, Springer (1996). Hideaki Nakane, Nobuo Sugimoto, Yasuhiro Sasano, Ichiro Matsui: Ozone Lidar Monitoring, CGER-M005-'95, MONITORING REPORT ON GLOBAL ENVIRONMENT-1995,1-20,1995. Sugimoto, N., Minato, A.: Data reduction method for the laser long-path absorption measurement of atmospheric trace species using the retroreflectorin Space, IEICE Trans. Commun. E78-B, 12, 1585-1590,1995. Sugimoto, N., Minato, A., Matsui, I., Sasano, Y., Itabe, T., Aoki, T., Takabe, M., Hiromoto, N., Kunimori, H.: Plan for experiment with the Retroreflector in Space (RIS) on ADEOS, SPIE 2583, 217-227, 1995. Nakane, H., Akiyoshi, H., Matsui, I., Sugimoto, N., Iwasaka, Y., Shibata, T., Hayashi, M., Itabe, T., Mizutani, K., Uekubo, T., et al. (1995) Variation of ozone and aerosols in Eastern Asia during SESAME. Polar Stratos.Ozone 1995(Pyle J.A.,Harris N.R.P.,& Amanatidis G.T.eds. ), 492-496. Sugimoto, N. (1995) ADEOS/RIS. Satell. Laser Ranging News l. SLR Subcomm. CSTG, 8-11. Y. Murayama, T. Tsuda, R. Wilson, H. Nakane, S.A. Hayashida, N. Sugimoto, I. Matsui, Y. Sasano: Gravity wave activity in the upper stratosphere and lower meso- sphere observed with the Rayleigh lidar at Tsukuba, Japan, Geophys. Res. Lett. 21, 14, 1539-1542, 1994. H. Nakane, S. Hayashida, I. Matsui, N. Sugimoto, A. Minato, Y. Sasano: Lidar observation of ozone over Tsukuba (36N,140E), NASA Conf. Publ. 3266 Ozone in the Troposphere and Stratosphere, Part 2., 863-866,1994. N. Sugimoto, A.Minato: Heterodyne spectroscopy using broadband short-pulse laser for long-path absorption measurement of atmospheric trace species, Jpn. J. Appl. Phys. 33, 7A, 3934-3936,1994. N. Sugimoto: Monitoring of atmospheric environment using laser remote sensing methods, Opt. Methods Biomed. & Environ. Sci. (Elsevier1994) 265-268. R.J. Nordstrom, L.J. Berg, A.F. Desimone, N. Sugimoto: Single-longitudinal-mode operation of a TEA CO2 Laser using a time-gated gain cell, Rev. Laser Eng. 22, 2, 54-61, 1994. Takamura, T., Sasano, Y., Hayasaka, T. (1994) Tropospheric aerosol optical properties derived from lidar, sun photometer, and optical particle counter measurements. Appl.Opt., 33 (30), 7132-7140. Hayashida, S., Sasano, Y., Nakane, H., Matsui, I., Hayasaka, T. (1994) Stratospheric aerosol increase after eruption of Pinatubo observed with lider and aureolemeter. NASA Conf.Publ.3266 Ozone in the Troposphere and Stratosphere Part 2, 635-638. Sugimoto, N., Minato, A. (1994) Method for measuring dihedral angles of a cube-corner retroreflector having curved mirror surfaces. Opt. Eng., 33 (4), 1187-1192. T. Hayasaka, Y. Meguro, Y. Sasano, and T. Takamura, Stratification and size distributions of aerosols derived from simultaneous measurements with lidar and radiometer, 17th International Laser Radar Conference, Abstracts, 24-25, Sendai, Japan 1994. T. Takamura, Y. Sasano, and T. Hayasaka, Tropospheric aerosol measurements using lidar, sunphotometer and particle counter, 17th International Laser Radar Conference, Abstracts, 89-90, Sendai, Japan 1994. N. Sugimoto, Reroreflwctor in Space (RIS) Experiment, 17th International Laser Radar Conference, Abstracts, 181-184, Sendai, Japan 1994. I. Matsui, H. Kubomura, H. Imoto, and N. Sugimoto, Eye-safe compact Mie scattering lidar for measuring the atmospheric boundary layer, 17th International Laser Radar Conference, Abstracts, 240-241, Sendai, Japan 1994. N. Sugimoto and A. Minato, Retroreflectors having acute dihedral angles and their applications to laser ranging targets, 17th International Laser Radar Conference, Abstracts, 277-278, Sendai, Japan 1994. H. Nakane, N. Sugimoto, S. Hayashida, Y. Sasano, and I. Matsui, Five years lidar observations of vertical profiles of stratospheric ozone at NIES, Tsukuba (36N, 140E), 17th International Laser Radar Conference, Abstracts, 416-419, Sendai, Japan 1994. R. Nordstrom, L. Berg, A. Desimone, and N. Sugimoto, Wavelength-agile and single-longitudinal-mode CO2 lasers for the Retroreflector in Space (RIS) experiment, 17th International Laser Radar Conference, Abstracts, 502-505, Sendai, Japan 1994. A. Minato, H. Ohshima, Y. Sasano, and N. Sugimoto, Data reduction algorithm for earth-satellite laser long-path absorption measurement using RIS, 17th International Laser Radar Conference, Abstracts, 559-563, Sendai, Japan 1994. H. Nakane, S. Hayashida, N. Sugimoto, I. Matsui, Y. Sasano: 1. Ozone lider monitoring, Annual Rep. Global Environ. Monit. (1993), 1993. N. Sugimoto: Remote sensing of the atmosphere by lidars, Optoelectronics- Devices and Technol. 8, 2, 161-170, 1993. R.J. Nordstron, L.J. Berg, A.F. Desimone, N. Sugimoto: Time-gated gain cell for frequency stable, single-longitudinal-mode operation of a transverse, electric, atmospheric CO2 laser, Rev. Sci. Instum. 64, 6, 1663-1664, 1993. N. Sugimoto, A. Minato, Y. Sasano: Laser long-path absorption experiment with the retroreflector in space (RIS) for the ADEOS satellite, Optics prot. man & environ.against nat. & technol. disasters. (Elsevier1993) 39-42. N. Sugimoto: Optical approaches to atmospheric monitoring, Optics prot. man & environ. against nat. & technol. disasters (Elsevier1993) 29-38. H. Nakane, Y. Sasano, S. Hayashida, N. Sugimoto, I. Matsui, A. Minato, M. P. Mccormick: Comparision of ozone profiles obtained with NIES DIAL and SAGE II measurements, J. Meteorol. Soc. Jpn. 71, 1, 153-159, 1993. Hayashida, S., Sasano, Y. (1993) Stratospheric aerosol change in the early stage of volcanic disturbance by the Pinatubo eruption observed over Tsukuba,Japan.. Geophys. Res. Lett., 20 (7), 575-578. Uchino, O., Nagai, T., Fujimoto, T., Fujiwara, M., Akiyoshi, H., Yasumatsu, S., Hayashida, S., Sasano, Y., Nakane, H., et al. (1993) Observation of the Pinatsubo volcanic cloud by lidar network in Japan. J. Meteorol. Soc. Jpn., 71 (2), 285-295. H. Nakane, S. Hayashida, Y. Sasano, N. Sugimoto, I. Matsui, A. Minato: Vertical profiles of temperature and ozone observed during DYANA campaign with the NIES ozone lidar system at Tsukuba, J. Geomag. Geoelectr. 44, 11, 1071-1083, 1992. A. Minato, N. Sugimoto, Y. Sasano: Optical design of cube-corner retroreflectors having curved mirror surfaces, Appl. Opt. 31, 6015-6020, 1992. Hayashida, S., Y. Sasano, H. Nakane, I. Matsui and T. Hayasaka, Stratospheric Aerosol Increase After Eruption of Pinatubo Observed with Lidar and Aureolemeter, Ozone in the Troposphere and Stratosphere Part 2, Proc. Quadrennial Ozon Symp. 1992, Virginia, (NASA Conference Pub. 3266, 1992) pp. 635-638. H. Nakane, S. Hayashida, Y. Sasano, N. Sugimoto, I. Matsui, and A. Minato, Observation of stratospheric ozone with NIES lidar system in Tsukuba, Japan, 16th International Laser Radar Conference, Abstracts, 45-48, Cambridge, July 1992. Y. Sasano, I. Matsui, and S. Hayashida, Three-wavelength lidar measurements of Pinatsubo aerosol and its optical properties, 16th International Laser Radar Conference, Abstracts, 75-78, Cambridge, July 1992. A. Minato, N. Sugimoto, and Y. Sasano, Infraredbpulse-laser long-path absorption measurement of carbon dioxide using a Raman-shifted dye laser, 16th International Laser Radar Conference, Abstracts, 181-184, Cambridge, July 1992. N. Sugimoto, A. Minato, and Y. Sasano, Spectroscopic method for earth-satellite-earth laser long-path absorption measurements using Retroreflector In Space (RIS), 16th International Laser Radar Conference, Abstracts, 659-662, Cambridge, July 1992. N. Sugimoto, K.P. Chan, D.K. Killinger: Optimum heterodyne detector array size for 1-um coherent lidar propagation through atmospheric turbulence, Appl. Opt. 30, 2609-2616,1991. K.P. Chan, D.K. Killinger, N. Sugimoto: Heterodyne Doppler 1-um lidar measurement of reduced effective telescope aperture due to atmospheric turbulence, Appl. Opt. 30, 2617-2627, 1991. N. Sugimoto, K.P. Chan, D.K. Killinger: Video camera measurements of atmospheric turbulence using the telescope image of a distant light source, Appl. Opt. 30, 4, 65-367, 1991. S. Hayashida-Amano, Y. Sasano, Y. Iikura: Volcanic disturbances in the stratospheric aeosol layer over Tsukuba, Japan, observed by the National Institute for Environmental Studies lidar from 1982 through 1986, J. Geophys. Res., 96, D8, 15469-15478, 1991. Y. Sasano, K. Asada, N. Sugimoto, T. Yokota, M. Suzuki, A. Minato, A. Matsuzaki, H. Akimoto: Improved limb atmospheric spectrometer and retroreflector in-space for ADEOS, "Future European and Japanese Remote Sensors and Programs", edited by P. N. Slater, SPIE Proceedings Series, Vol. 1490, 233-242, 1991. N. Sugimoto, N. Sims, K. Chan, D.K. Killinger: Eye-safe 2.1-um Ho lidar for measuering atmospheric density profiles, Opt. Lett. 15, 6, 302-304, 1990. H. Nakane, Y. Sasano, N. Sugimoto, S. Hayashida, I. Matsui, A. Minato: Observation of stratospheric ozone and temperature profiles using multiple wavelength UV lidar at NIES, EOS Trans. Am. Geophys. Union. 71, 929, 1990. Y. Sasano, H. Nakane, S. Hayashida-Amano, N. Sugimoto, I. Matsui: Multiple-wavelength DIAL and a new analysis technique to deduce the ozone profile without systematic errors due to aerosol effects, Atmospheric Ozone (Proceedings of Ozone Symposium, 1988), 1990. T. Takamura, Y. Sasano: Aerosol optical properties inferred from simultaneous lidar, aerosol counter and sunphotometer measurements, J. Meteorol. Soc. Japan, 68, 6, 729-739, 1990. M. Taguchi, S. Okano, H. Fukunishi, Y. Sasano: Comparison of ozone profiles from ground-based laser heterodyne spectrometer and ozone sonde measurements, Geophys. Res. Lett., 17, 12, 2349-2352, 1990. Minato, A., Sugimoto, N., Sasano, Y. (1990) Retroreflector in-space (RIS) for Japanese satellite ADEOS : measurement of atmospheric trace species based on earth-space-earth laser long path absorption. EOS Trans. Am. Geophys. Union, 71, 930. N. Sugimoto, A. Minato, and Y. Sasano, Retroreflector In Space (RIS) for Japanese Satellite ADEOS: Measurement of Atmospheric Trace Species by Laser Long Path Absorption between Ground Station and Sateliite, 15th International Laser Radar Conference, Abstracts Part I, 48-50, Tomsk, U.S.S.R. July 1990. H. Nakane, Y. Sasano, N. Sugimoto, S. Hayashida-Amano, I. Matsui, A. Minato, Stratospheric Ozone Observation at NIES Japan, 15th International Laser Radar Conference, Abstracts Part I, 116-118, Tomsk, U.S.S.R. July 1990. Y. Sasano, I. Matsui, and N. Sugimoto, Lidar measurements of nocturnal urban boundary layer responsible for severe air pollution phenomena, 15th International Laser Radar Conference, Abstracts Part II, 77-79, Tomsk, U.S.S.R. July 1990. D. K. Killinger, S. D. Cha, K. Chan, and N. Sugimoto, Development of 2.1 micron Ho lidar for aerosol, water vapor, and wind measurements, 15th International Laser Radar Conference, Abstracts Part II, 372-374, Tomsk, U.S.S.R. July 1990. Pu Qing, H. Nakane, Y. Sasano, S. Kitamura: Numerical simulation on the retrieval of aerosol size distribution from multi-wavelength laser radar measurements, Apll. Opt. 28, 5259-5265, 1989. Y.Sasano, E. V. Browell: Light scattering characteristics of various aerosol types derived from multiple wavelength lidar observations, Appl. Opt. 28, 1670-1679, 1989. Sasano, Y., Nakane, H., Hayashida, S., Sugimoto, N., Matsui, I. (1989) Multiple-wavelength dial and a new analysis technique to deduce the ozone profile without systematic errors due to aerosol effects. Atmos.Ozone(A. Deepak. Publ., 822p. ), 743?746. Y. Sasano: Simultaneous determination of aerosol and gas distribution by DIAL measurements, Appl. Opt., 27, 2640-2641,1988. A. Kobayashi, S. Hayashida, Y. Iwasaka, M. Yamato, A. Ono: Consideration of depolarizarion ratio measurements by lidar in relation to chemical composition of aerosol particles, J. Meteorol. Soc. Jpn. 92(3), 641-644, 1988. 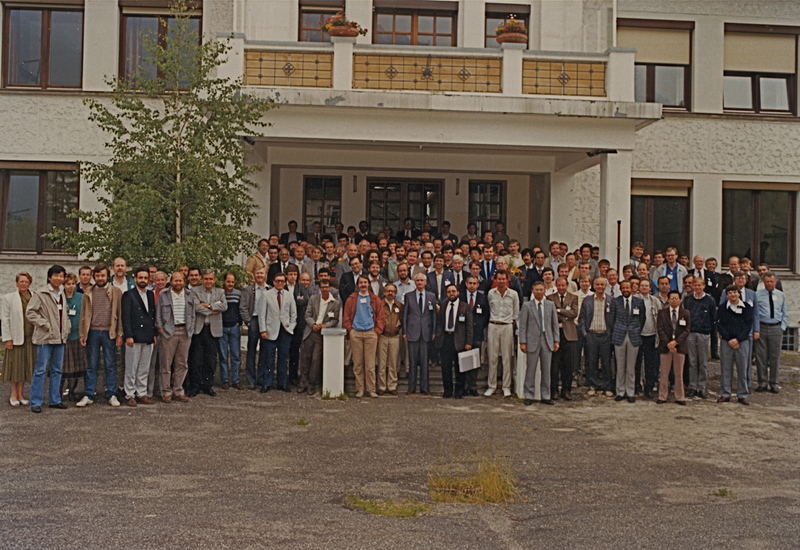 Y. Sasano, H. Nakane, S. Hayashida-Amano, and N. Sugimoto, A Generalized DIAL Analysis for Simultaneous Determination of GAS and Aerosol Distribution, 14th International Laser Radar Conference, Abstract 367-369, Innichen-San Candido, Italy, June 1988. Y. Sasano, H. Nakane: Quantitative analysis of RHI lider data by an iterative adjustment of the boudary condition term in the lider solution, Appl. Opt. 26, 615-616, 1987. H. Nakane, S. Tsuchiya: Intermode vibrational energy flow in CH3F and related polyatomic molecules excited by irradiation with TEA CO2 laser, Spectrochim. Acta, 43A,135-136, 1987. H. Nakane, S. Tsuchiya: Infra-and intermode vibrational energy flow in CH3F excited by irradiation with an intense CO2 laser: A non-linear vibrational relaxation, Laser Chem., 7, 141-176, 1987. Y. Iikura, N. Sugimoto, Y. Sasano, H. Shimizu: Improvement on lidar data processing for stratospheric aerosol measurements, Appl. Opt. 26, 5299-5306, 1987. T. Takamura, Y. Sasano: Ratio of aerosol backscatter to extinction coefficients as determined from angular scattering measurements for use in atomospheric lidar applications, Opt. Quamtum. Electr., 19, 293-302, 1987. H. Shimizu, I. Matsui, N. Sugimoto, Y. Sasano, N. Takeuchi, N. Tanno, N. Saitoh, K. Yokota: Short-time forecasting of snowfall by lidar, Appl. Opt. 25, 2109-2114, 1986. H. Shimizu, K. Noguchi, C. She: Atmospheric temperature measurement by a high spectral resolution lidar, Appl. Opt. , 25,1460-1466, 1986. H. Shimizu: Ultralight reflector for lider applications, Appl. Opt. 25, 1467-1469, 1986. N. Takeuchi, H. Baba, K. Sakurai ,T. Ueno: Diode-laser random-modulation CW lider, Appl. Opt. 25, 63-67, 1986. H. Nakane, Y. Sasano: Structure of a sea-breeze front revealed by scanning lidar observation, J. Meteorol. Soc. Jpn. 787-792, 1986. Y. Sasano and E. V. Browell, Wavelength dependence of aerosol backscatter coefficients obtained by multiple wavelength lidar measurements, 13th International Laser Radar Conference, Tronto, 1986. H. Shimizu, I. Matsui, and K. Asai, The TFP and apulsed LD: New lidar components, 13th International Laser Radar Conference, Tronto, 1986. Y. Sasano, E.V. Browell, S. Ismail: Error caused by using a constant extinction/backscattering ratio in the lidar solution, Appl.Opt. 24, 3929-3932,1985. N. Sugimoto, S. Takesawa: The 2B1(K'=1)-X2A1(K''=0) subbands of NO2 found in the excitation spectrum using a supersonic molecular beam, Chem. Phys.Lett. 118, 367-370, 1985. N. Sugimoto: Hadamard transform active long-path spectrometer system for measurements of atmospheric trace species, Appl.Opt. 25, 6, 863-865, 1985. S. Hayashida, Y. Iwasaka: On the long term variation of stratosheric aerosol content after the eruption of volcano El Chichon: Lidar measurements at Nagoya,Japan, J. Meteorol. Soc. Jpn. 63, 465-473,1985. A. Kobayashi, S. Hayashida, K. Okada, Y. Iwasaka: Measurements of the polarization properties of Kosa (Asian dust-storm) particles by a laser rader in spring 1983, J. Meteorol. Soc. Jpn. 63, 144-149, 1985. H. Baba, S. Hoshina, K. Sakurai, N. Takeuchi: High-speed multichannel photon counter for time-resolved laser spectroscopy, Rev.Sci.Instrum, 56, 1926-1929, 1985. Y. Sasano, H. Nakane: Significance of the extinction/backscatter ratio and the boundary value term in the solution for the two-component lidar equation, Appl. Opt. 23(1), 11-13, 1984. N. Sugimoto, N. Takeuchi, H. Iijima, T. Arai, S. Takezawa: Observation of spin splittings in the 2B1 state of NO2 by means of polarization spec-troscopy, Chem. Phys. Lett. 106, 430-407, 1984. N. Sugimoto, S. Takezawa: Rotational analyses and vibrational assignments of the 463- and 474-nm bands of NO2, J. Mol. Spectrosc. 106, 307-319,1984 . N. Sugimoto: Intensity distributions of fluorescence from the 2B1 stateof NO2 excited at 495.0, 474.0, 454.5 and 436.7 nm, J. Mol. Spectrosc. 106,362-368, 1984. Y. Sasano, Mixed layer and transition layer structures observed by a scanning laser radar, 12th International Laser Radar Conference, Aix-en-Provence, France, 1984. H. Shimizu, N. Sugimoto, I. Matsui, N. Saitoh, T. Atsumi, and N. Tanno, Snow cloud observation by Mie lidar with depolarization property, 12th International Laser Radar Conference, Aix-en-Provence, France, 1984. N. Takeuchi, H. Baba, K. Sakurai, and T. Ueno, Construction of compact RC-CW lidar systems, 12th International Laser Radar Conference, Aix-en-Provence, France, 1984. H. Nakane and Y. Sasano, Measurement of extinction/backscatter ratio of aerosols by lidar and optical particle counter, 12th International Laser Radar Conference, Aix-en-Provence, France, 1984. H. Shimizu, S. A. Lee, and C. Y. She, High spectral resolution lidar system with atomic blocking filters for measuring atmospheric parameters, Appl. Opt. 22, 1373-1381, 1983. Y. Sasano, H. Shimizu, N. Takeuchi: Convective cell structures revealed by Mie laser radar observations and image data processing, Appl. Opt. 21, 3166-3169, 1983. N. Sugimoto, N. Takeuchi, S. Takeszawa: Rotational analysis of the 2B1(k'=1)-2B1(k"=0) subband of NO2 at 464.9 nm in the time-gated excitation spectrum, Chem. Phys. Lett. 99, 475-478, 1983. N. Sugimoto, S. Takezawa, N. Takeuchi: Rotional analysis and radiative lifetime measurement on the 2B1(K=0) excited state off NO2 with v'=6, 7 ,8 and 9, J. Mol. Spectrosc.,102, 372-383, 1983. N. Takeuchi, N. Sugimoto, H. Baba, K. Sakurai: Random modulation CW lidar, Appl. Opt., 22, 1382-1386,1983. S. Takezawa, N. Sugimoto, N. Takeuchi: Rotational analysis of the 2B1 (K'=1) - 2A1 (K"=1) band with v'=6,7 and 10 in the excition spectrum of NO2, Chem. Phys. Lett. 97(1) 77-80, 1983. Takeuchi, N., Shimizu, H., Sasano, Y., Sugimoto, N., Matsui, I., Nakane, H. (1983) Wide-area air pollution measurement by the NIES large lidar. Optical and Laser Remote Sensing, Springer Series in Optical Science Vol.39 (Killinger D.K.,Mooradian A. ed.,Springer-Verlag), 364-373. Y. Sasano, H. Hirohara, T. Yamasaki, H. Shimizu, N. Takeuchi, T. Kawamura: Horizontal wind vector determination from the displacement of aerosol distribution patterns observed by a scanning lidar, J. Appl. Meteorol. 21, 1516-1521, 1982. N. Sugimoto, S. Takezawa, N. Takeuchi: Time-resolved,dispersed laser-induced fluorescence of NO2: observation of collision-induced energy transfer effect, Jpn. J. Appl. Phys. 21, 1536-1538, 1982. S. Takezawa, N. Sugimoto, N. Takeuchi: Decay times dispersed NO2 fluoresence excited in the blue region, Jpn. J. Appl. Phys. 21, 809-812, 1982. N. Takeuchi, K. Sakurai, N. Sugimoto, H. Baba, and M. Kondo, RM CW lidar, 11th International Laser Radar Conference, Abstracts 108-110, Madison, June 1982. H. Shimizu and C. Y. She, Atomic and molecular blocking filters for high-resolution lidar: A proposed method for measuring atmospheric visibility, temperature and pressure, 11th International Laser Radar Conference, Abstracts 117-119, Madison, June 1982. H. Nakane, Y. Sasano, N. Sugimoto, I. Matsui, H. Shimizu, and N. Takeuchi, Obtaining high-quality image data with the LAMP lidar, 11th International Laser Radar Conference, Abstracts 137-140, Madison, June 1982. Y. Sasano, H. Shimizu, and N. Takeuchi, Cell structures in the atmospheric mixed layer observed by a Mie laser radar, 11th International Laser Radar Conference, Abstracts 157-159, Madison, June 1982. Y. Sasano, H. Shimizu, N. Sugimoto, I. Matsui, N. Takeuchi, M. Okuda: Diurnal variation of the atmospheric planetary boundary layer observed by a computer-controlled laser radar, J. Meteorol. Soc. Jpn. 58, 143-148, 1980. Y. Sasano, H. Shimizu, N. Takeuchi, and M. Okuda, On the relationship between the aerosol layer height and the mixed layer height as determined by laser eadar and low-level radiosonde observations, 10th International Laser Radar Conference, Abstracts 1-2, Silver Spring, October 1980. N. Takeuchi, H. Shimizu, Y. Sasano, N. Sugimoto, I. Matsui, and M. Okuda, LAMP Lidar for wide-aera air pollution monitoring, 10th International Laser Radar Conference, Abstracts 14-15, Silver Spring, October 1980. H. Shimizu, Y. Iikura, Y. Sasano, N. Takeuchi, and M. Okuda, Dynamic range improvement in the digital processing of laser radar signals, 10th International Laser Radar Conference, Abstracts 118-119, Silver Spring, October 1980. Y. Sasano, H. Shimizu, N. Takeuchi, M. Okuda: Geometrical form factor in the laser radar equation: an experimental determination., Appl.Opt. 18, 3908-3910, 1979. Y. Sasano, H. Shimizu, N. Takeuchi, and M. Okuda, Experimental determination of the geometrical form factor in the laser radar equation, 9th International Laser Radar Conference, Abstracts 28-29, Munich, July 1979. H. Shimizu, Y. Sasano, Y. Yasuoka, N. Takeuchi, and M. Okuda, Improved display techniques for laser radar measurements, 9th International Laser Radar Conference, Abstracts 31-33, Munich, July 1979. Y. Murakami, O. Yamashita, M. Yamamoto, M. Nishimura, and N. Takeuchi, Pattern recognition of observed aerosols by laser radar, 9th International Laser Radar Conference, Abstracts 103-105, Munich, July 1979. N. Takeuchi, H. Shimizu, Y. Sasano, A. Matsudo, and M. Okuda, A computerized laser radar system and its application for monitoring stack plumes, 9th International Laser Radar Conference, Abstracts 264-266, Munich, July 1979.